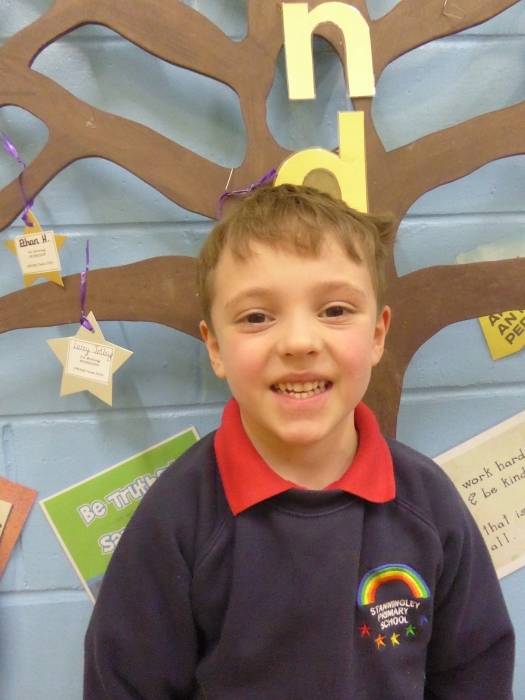 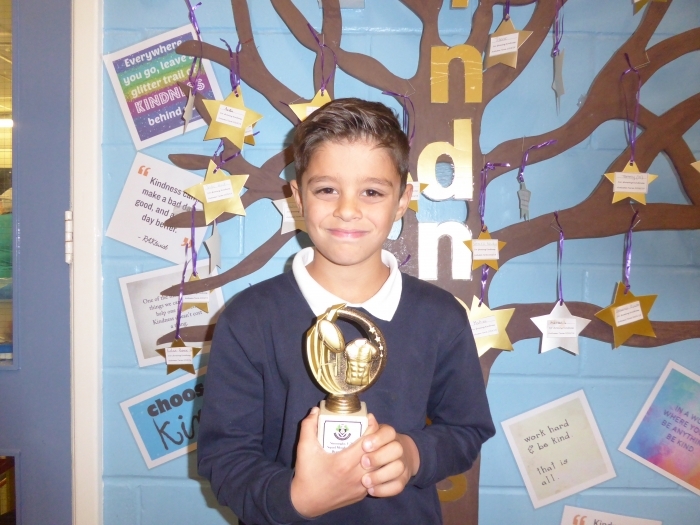 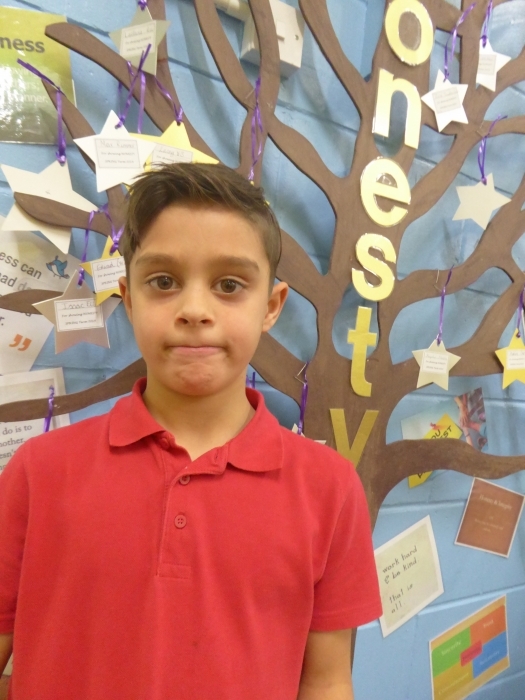 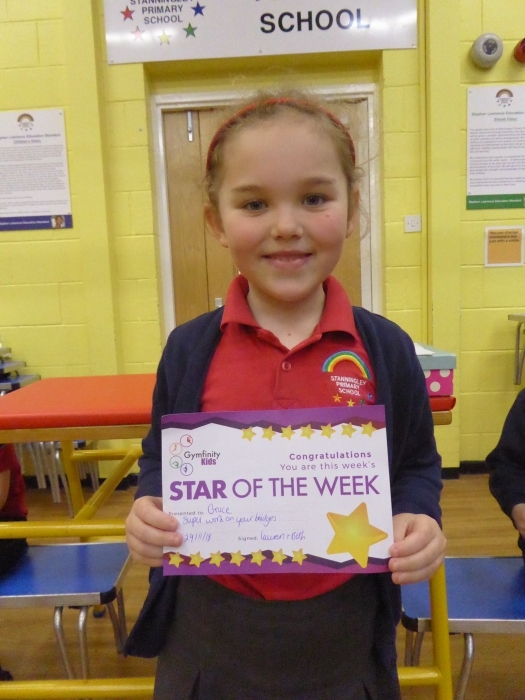 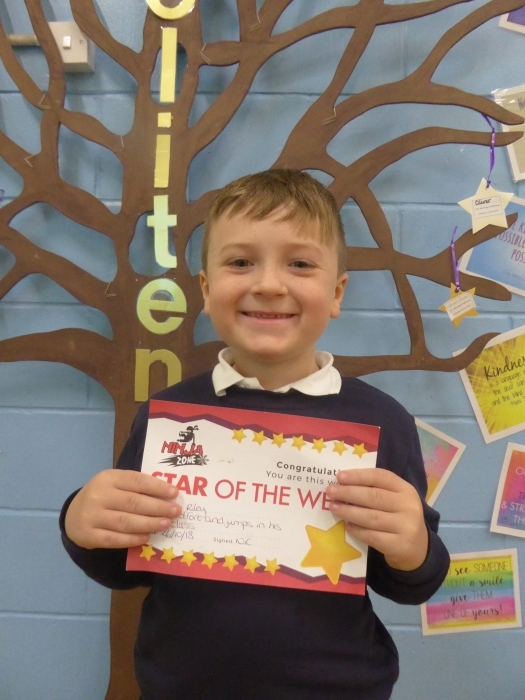 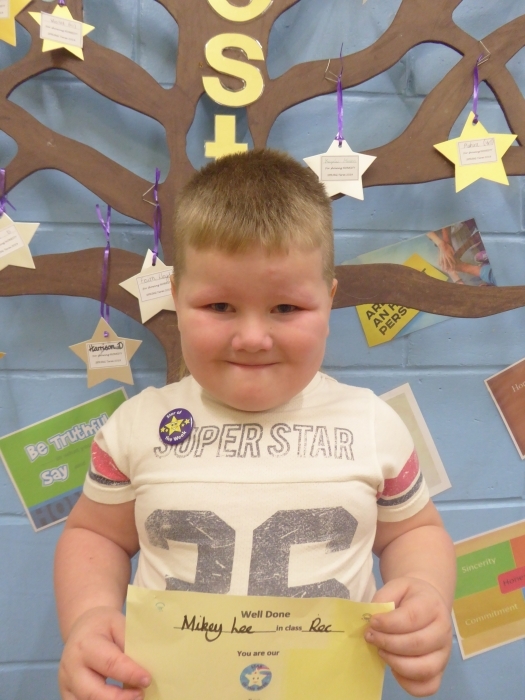 Every Thursday the class teachers will choose a child to be Star of The Week. 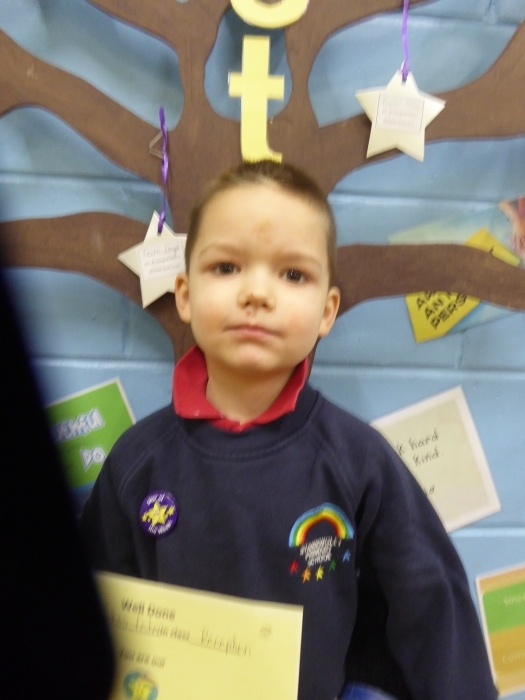 This can be for any improvement reason, e.g. 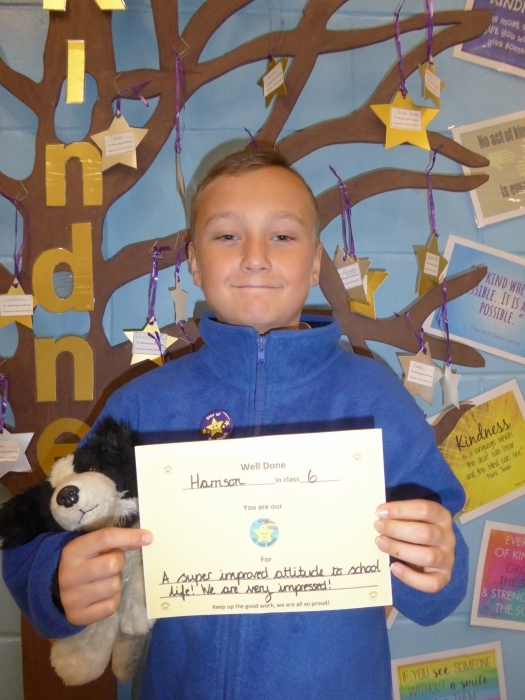 work, attitude, behavior, kindness and going the extra mile. 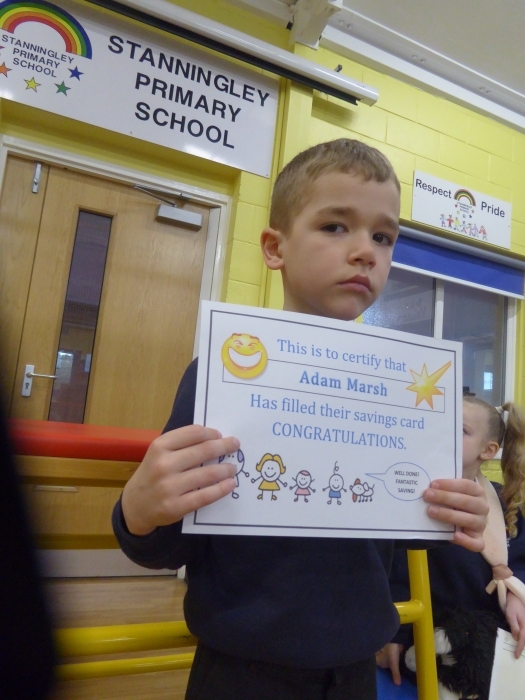 The parent of that child will recieve a text to invite them to the celebration assembly on Friday. 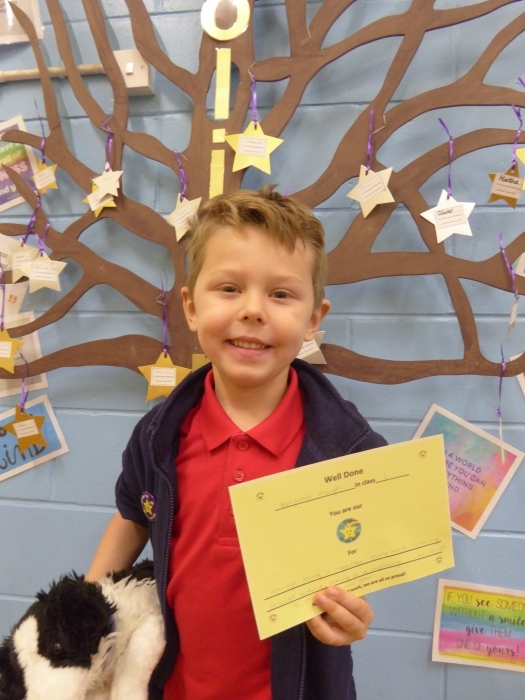 The stars sit at the front of assembly where all their friends and adults can see and share their celebration and achievements. 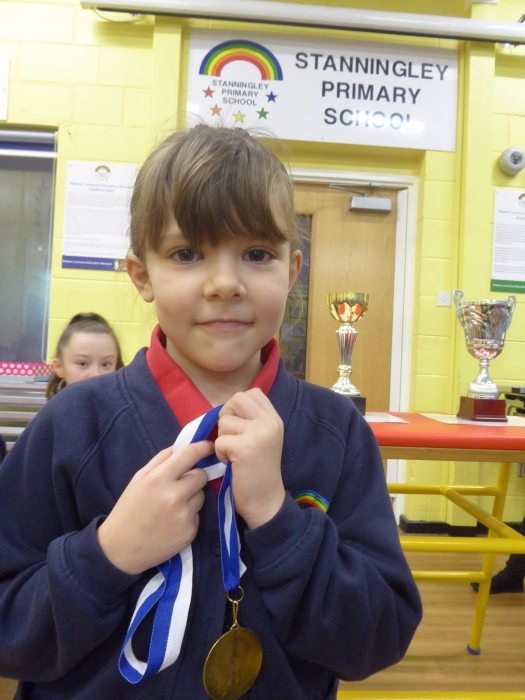 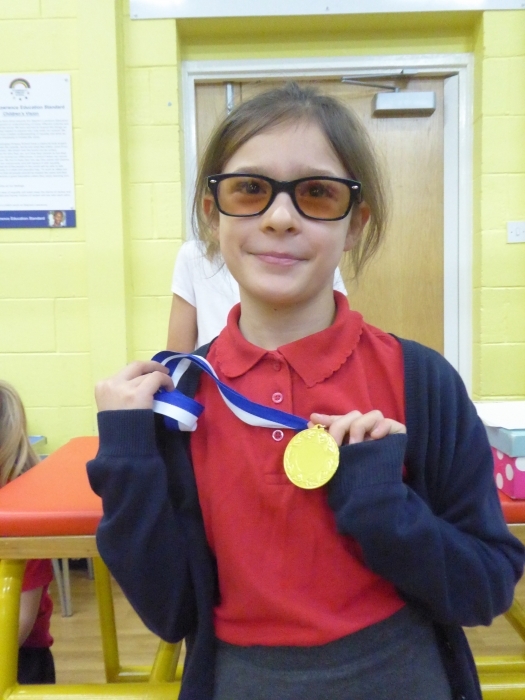 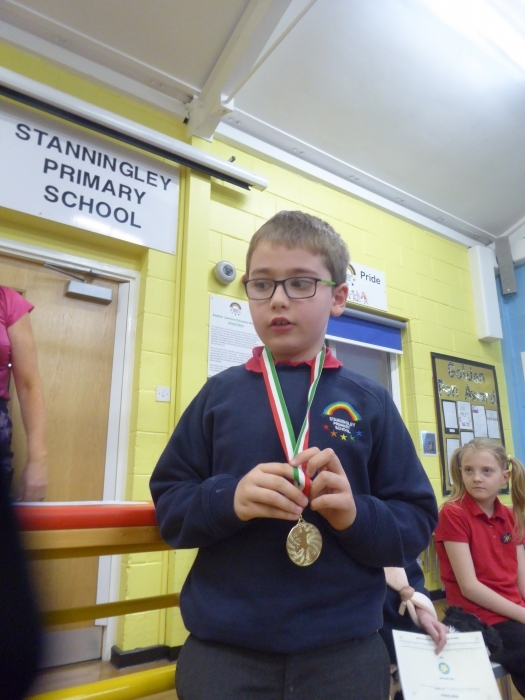 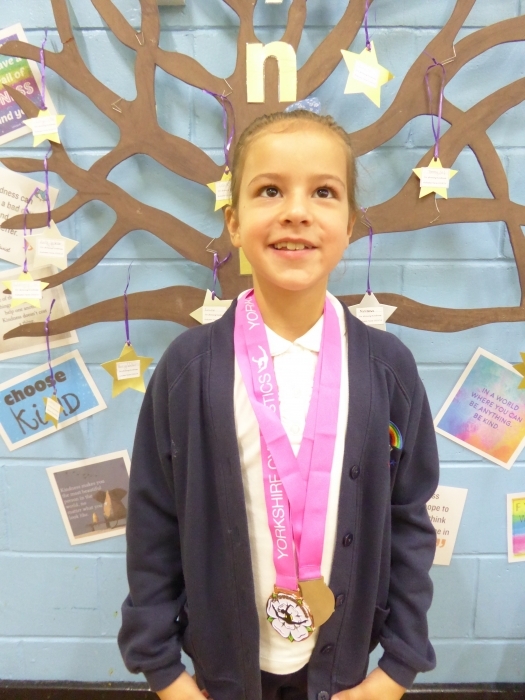 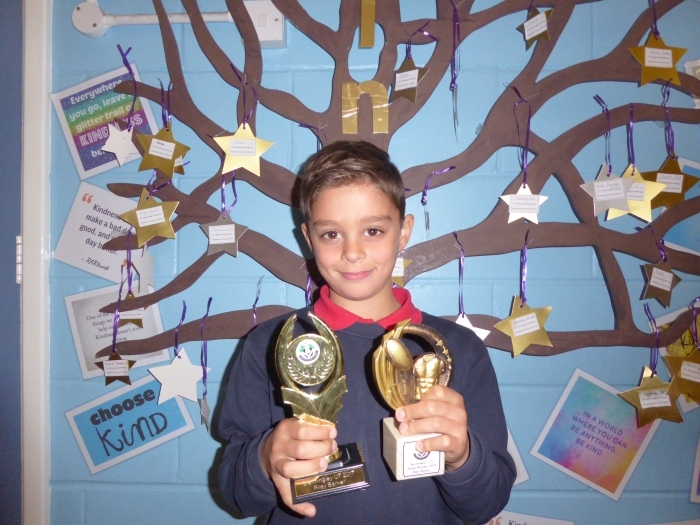 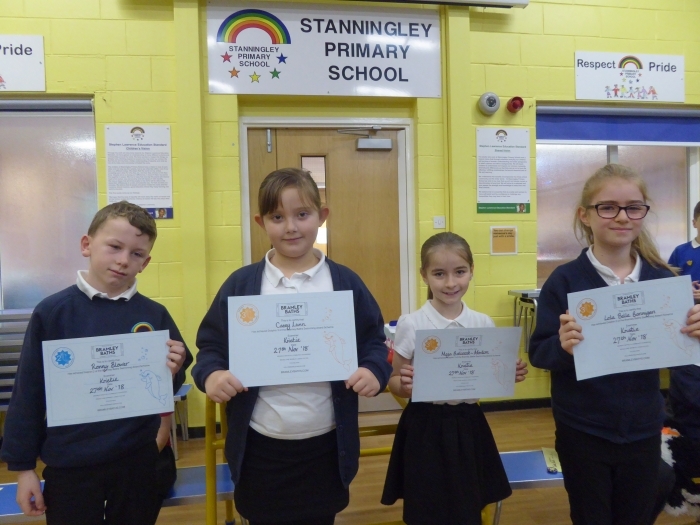 They will have their photograph taken and it will be displayed on the school notice board,website and in the classroom. 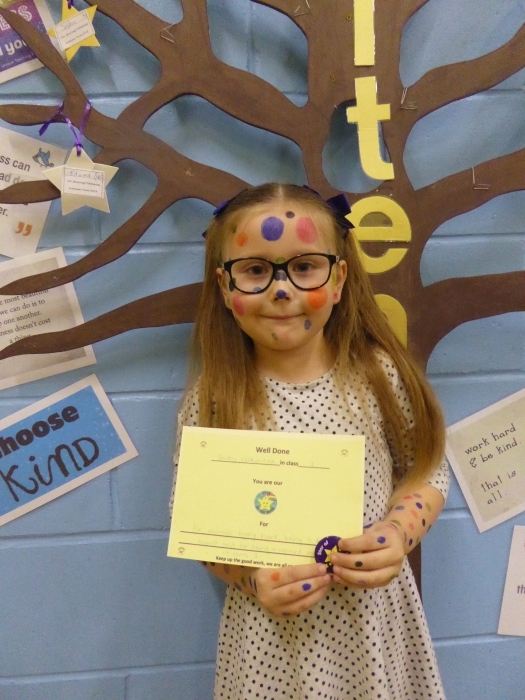 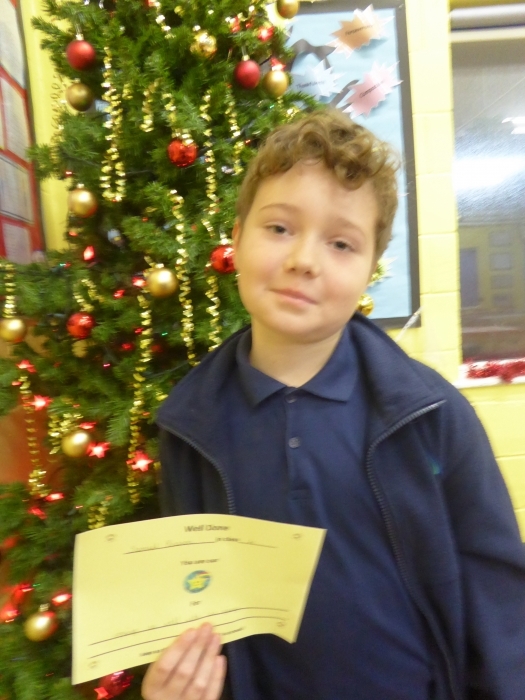 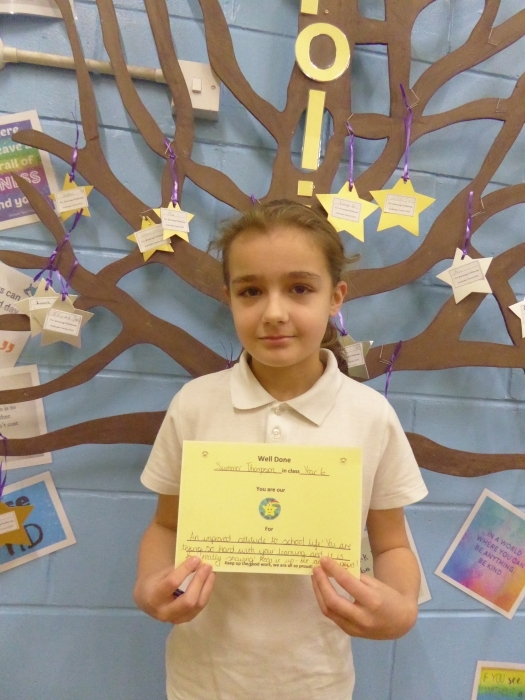 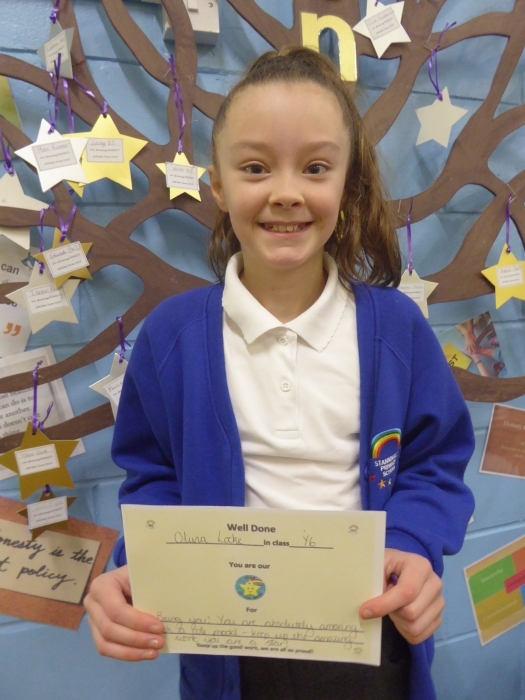 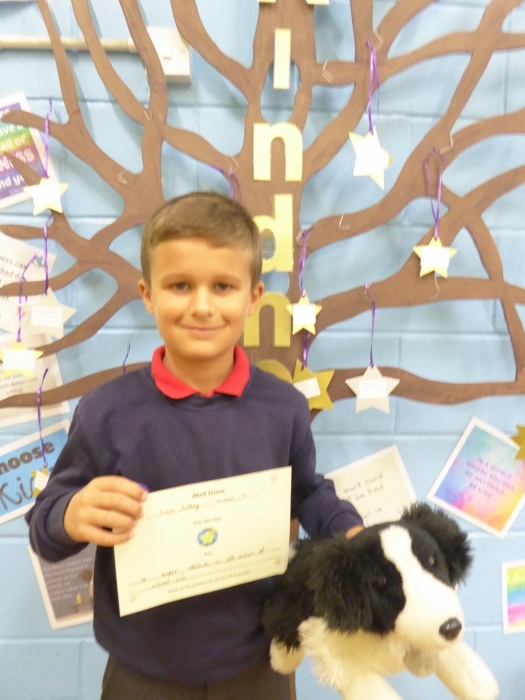 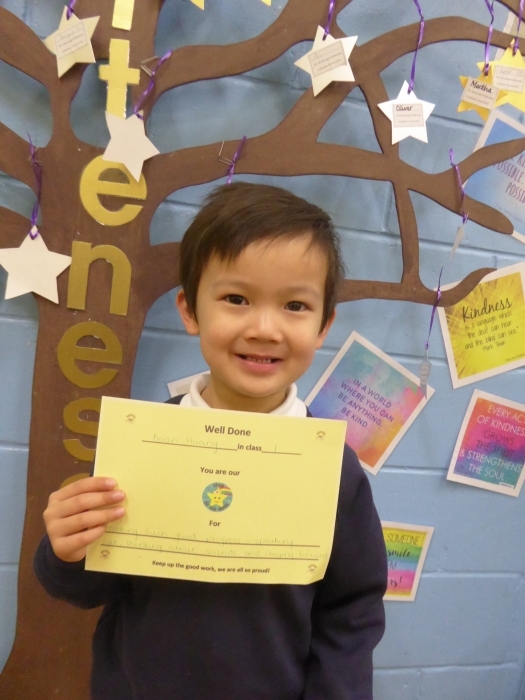 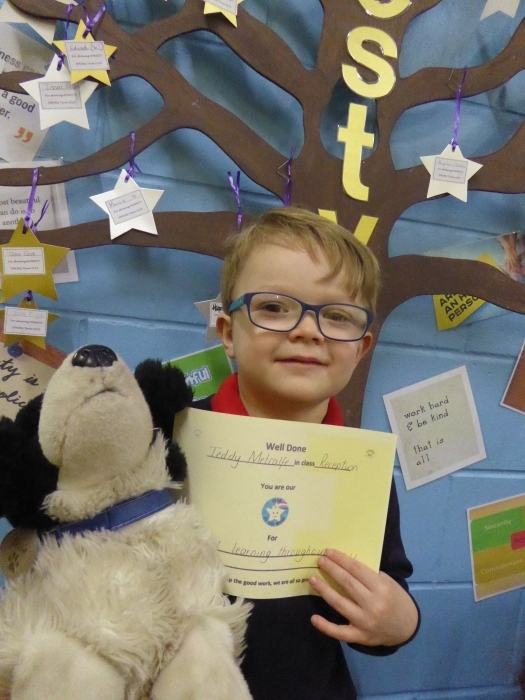 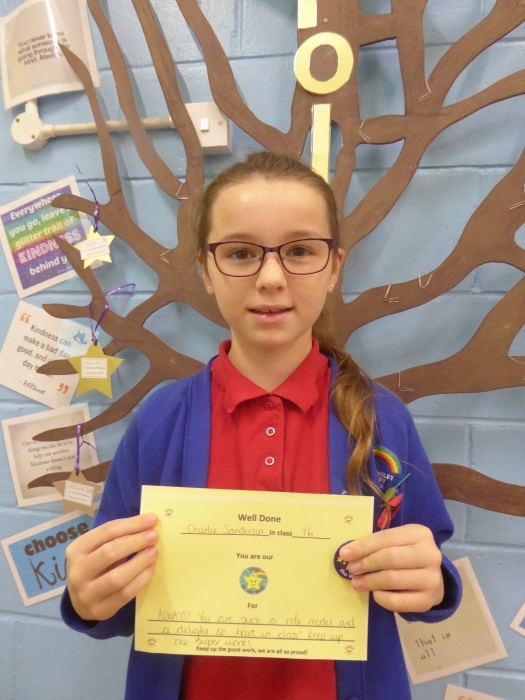 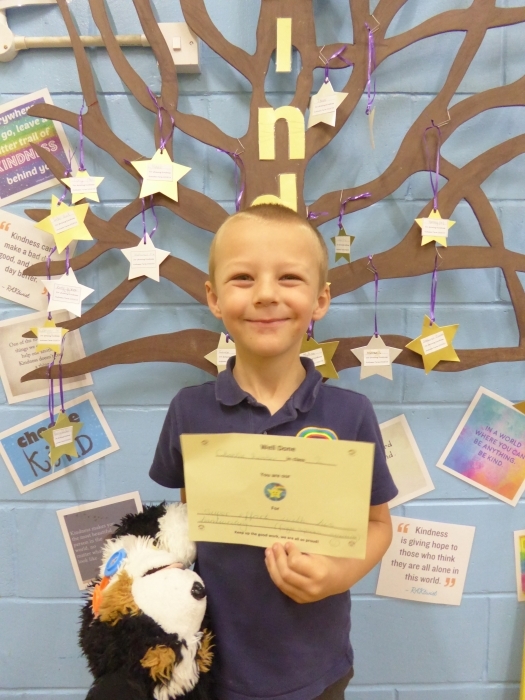 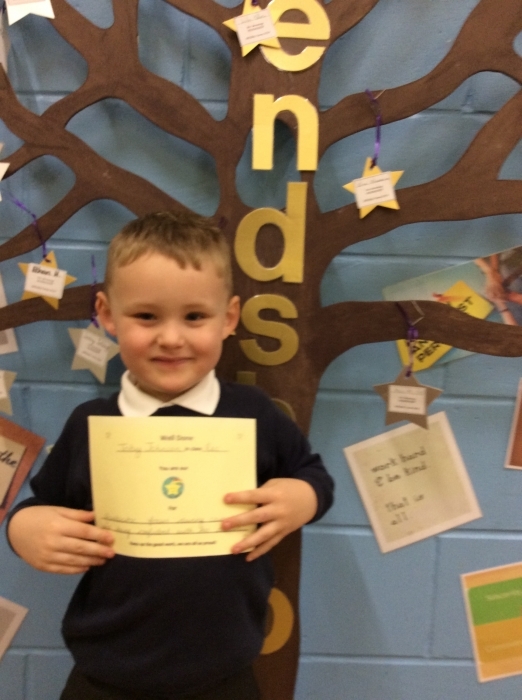 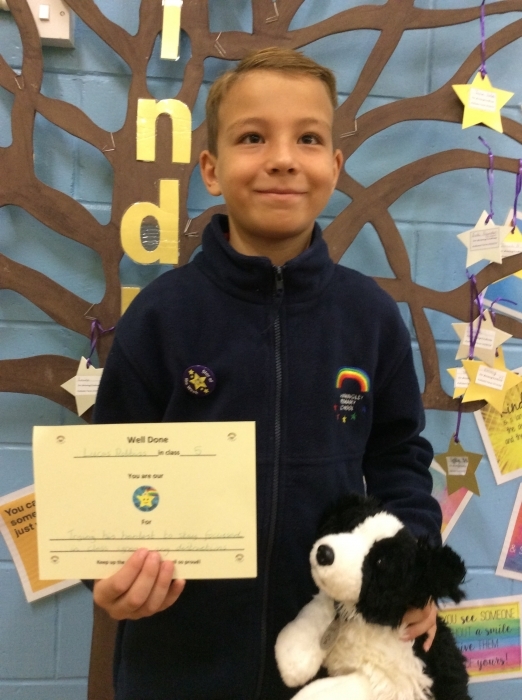 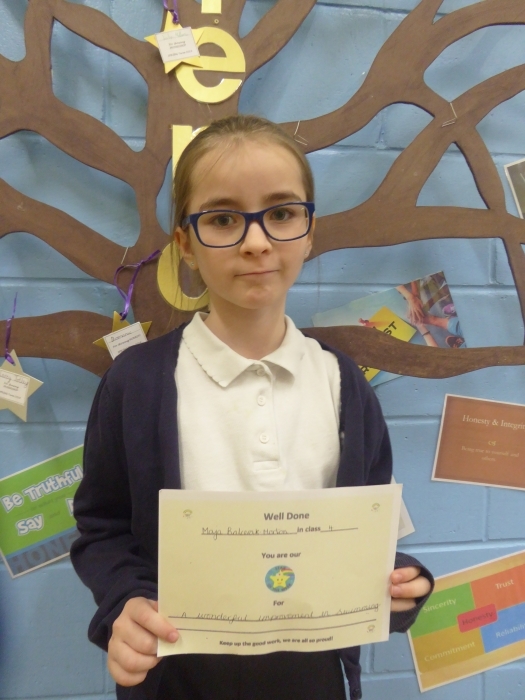 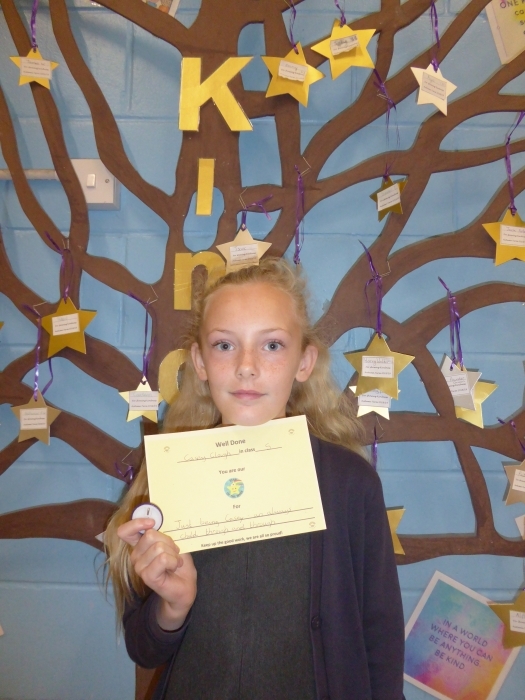 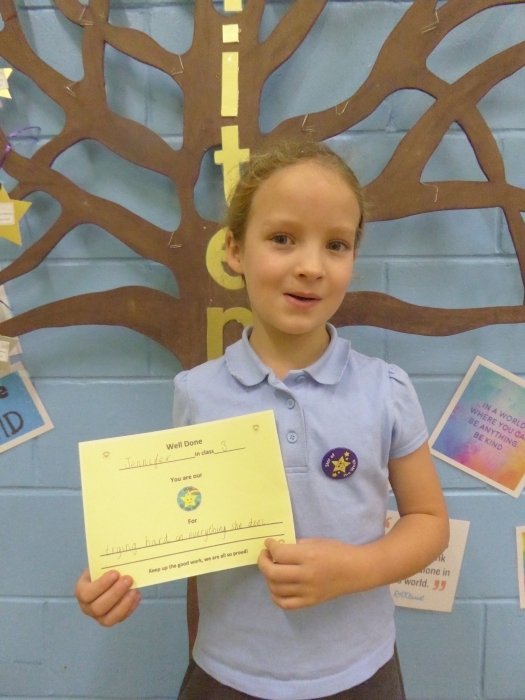 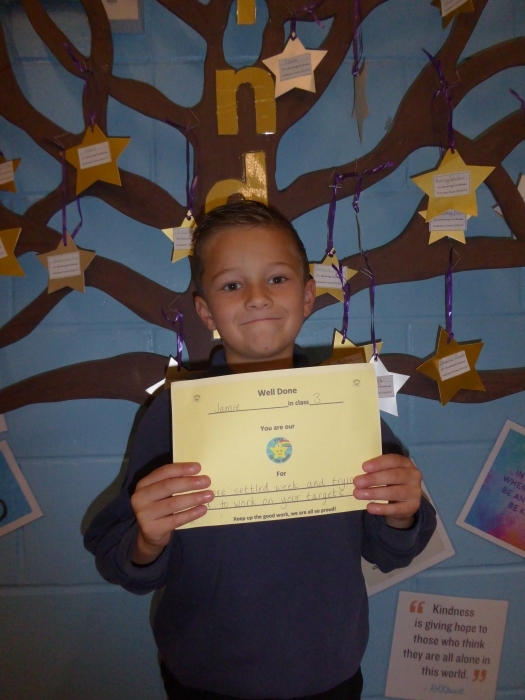 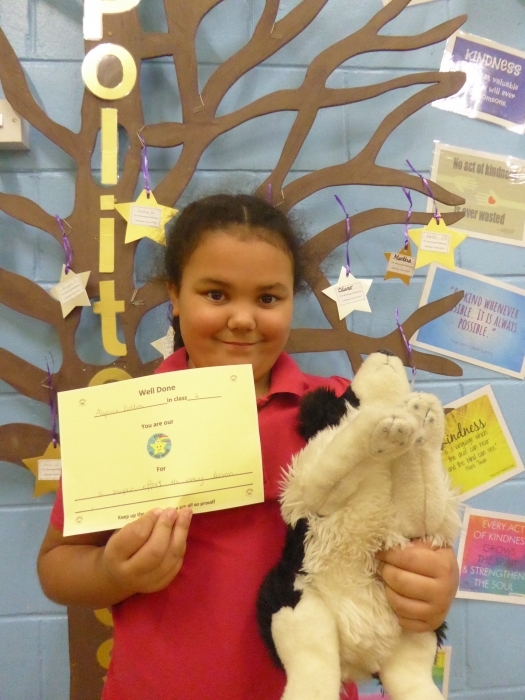 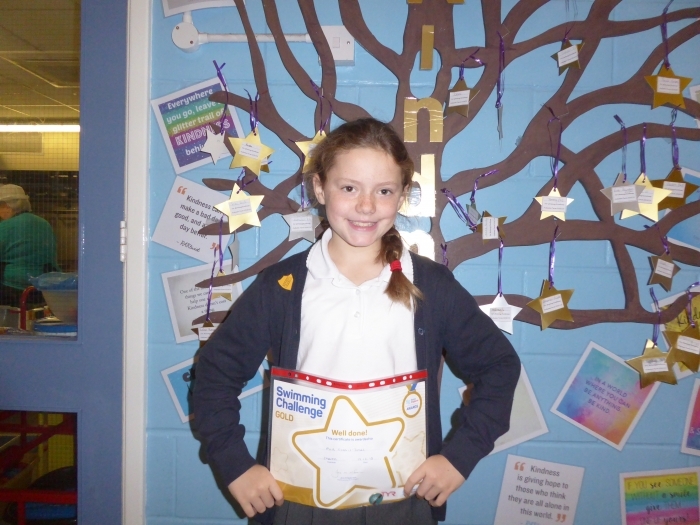 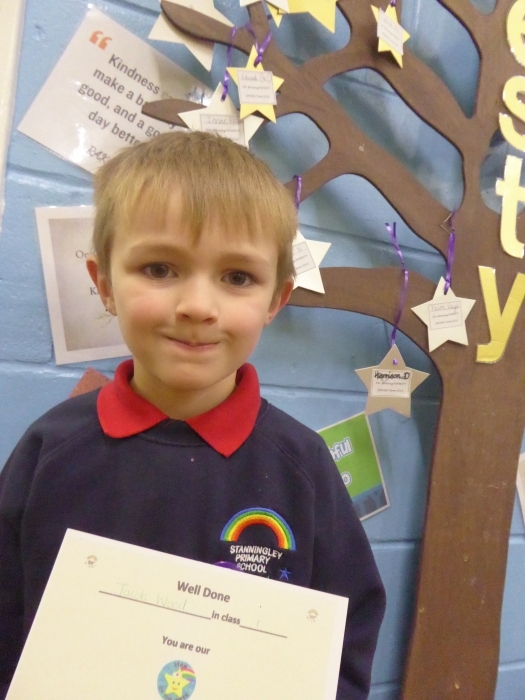 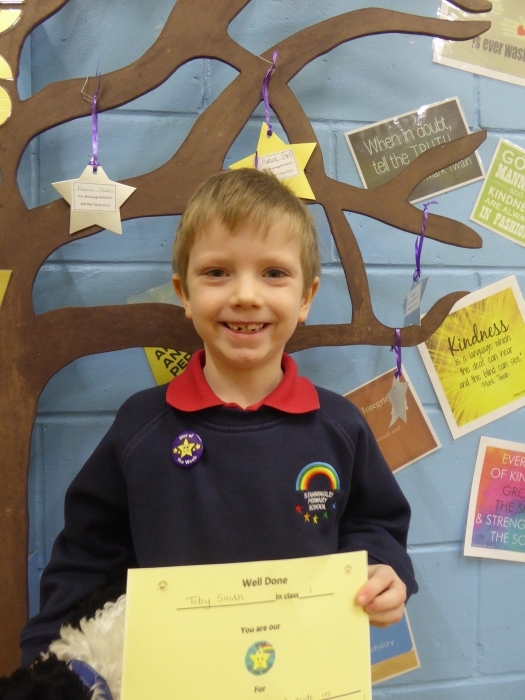 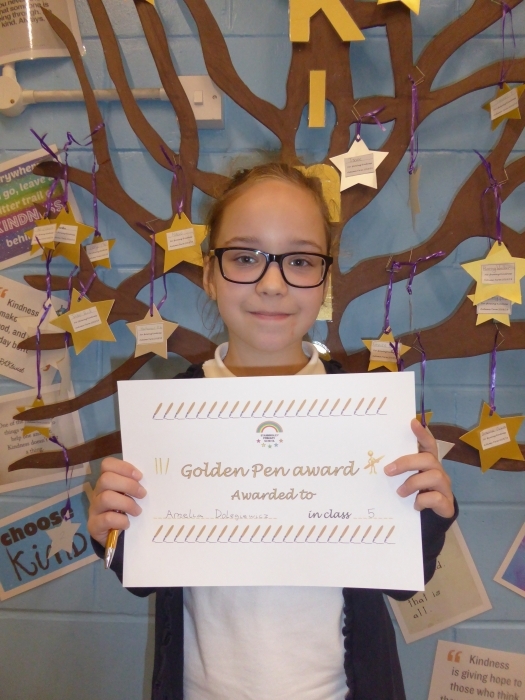 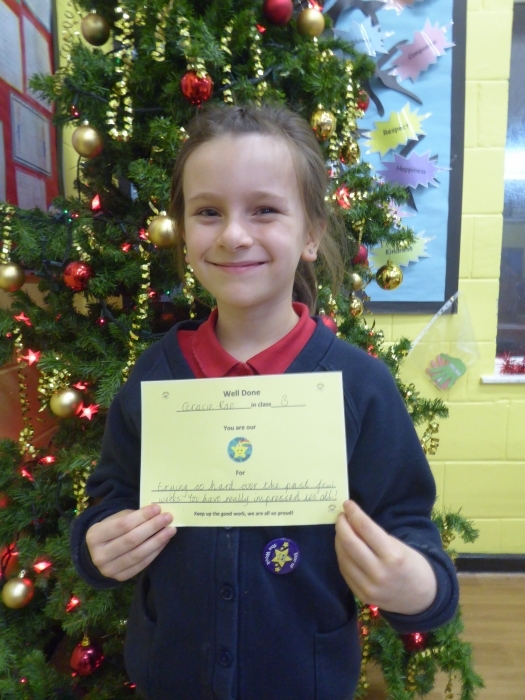 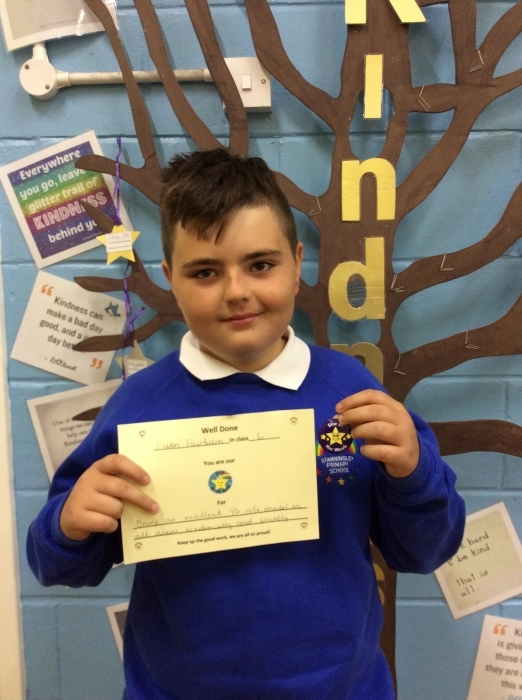 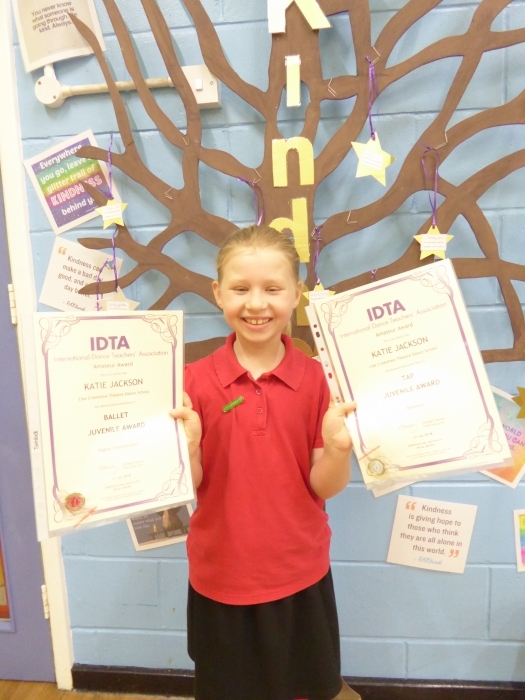 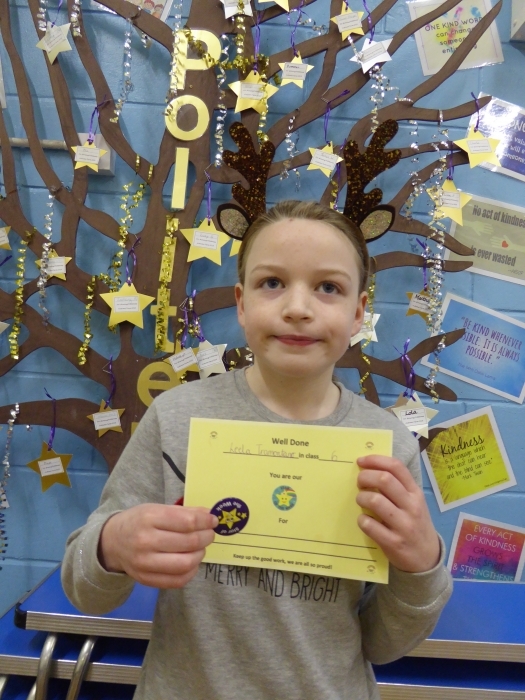 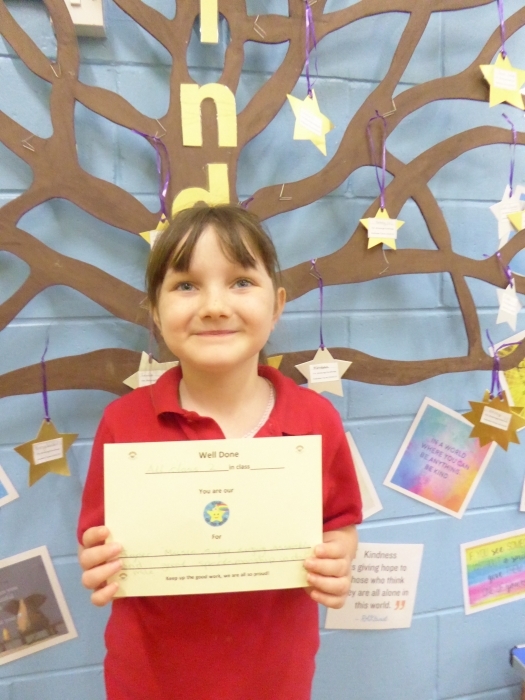 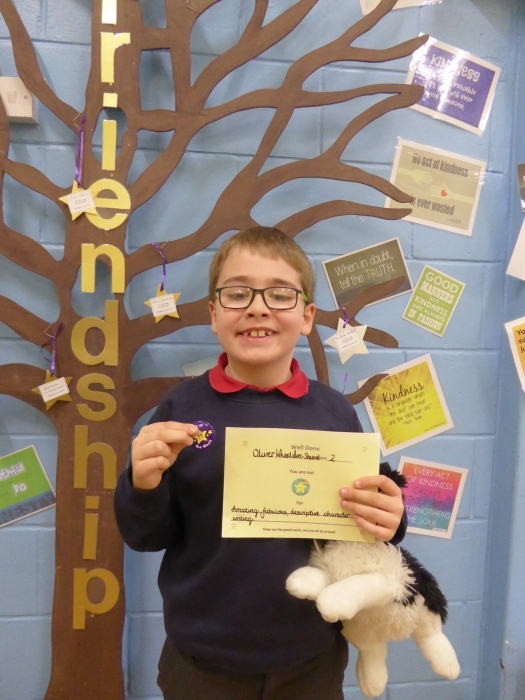 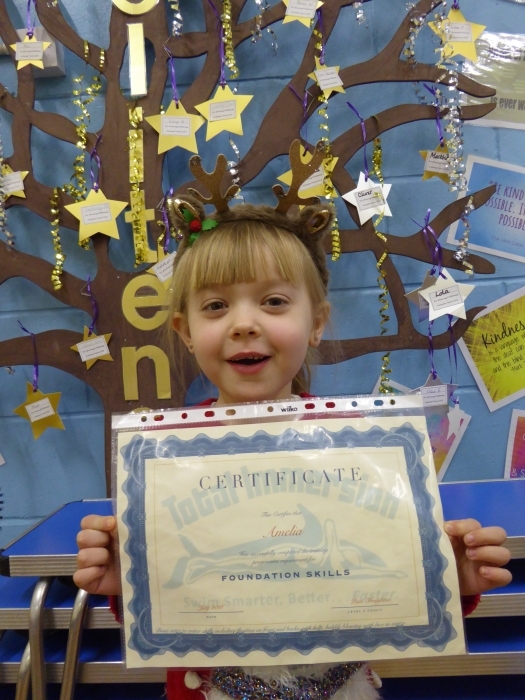 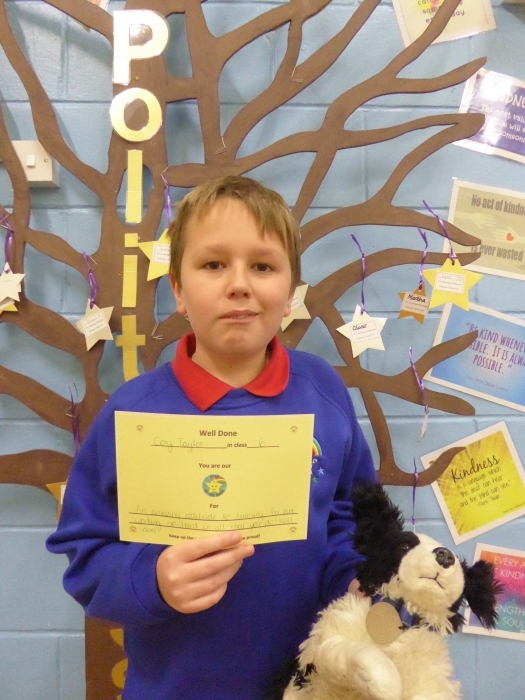 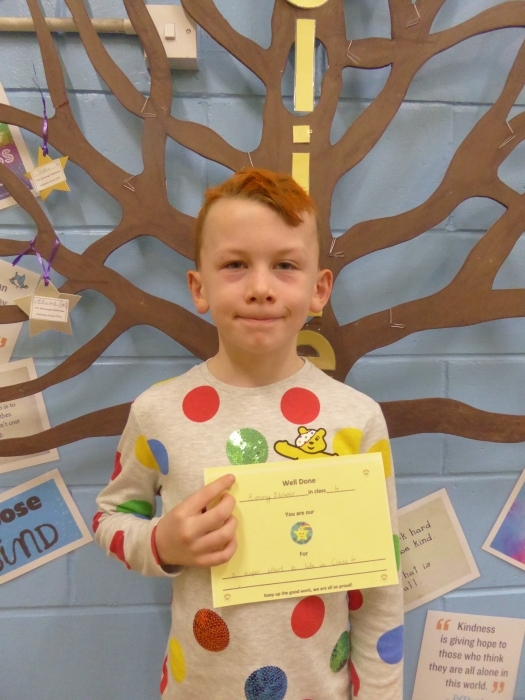 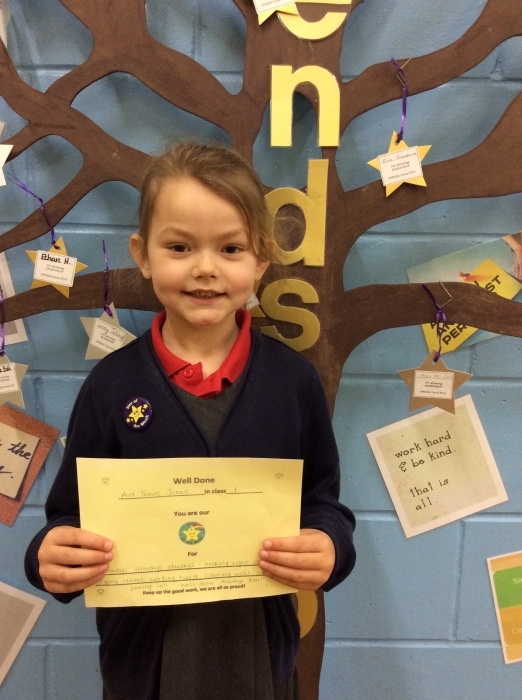 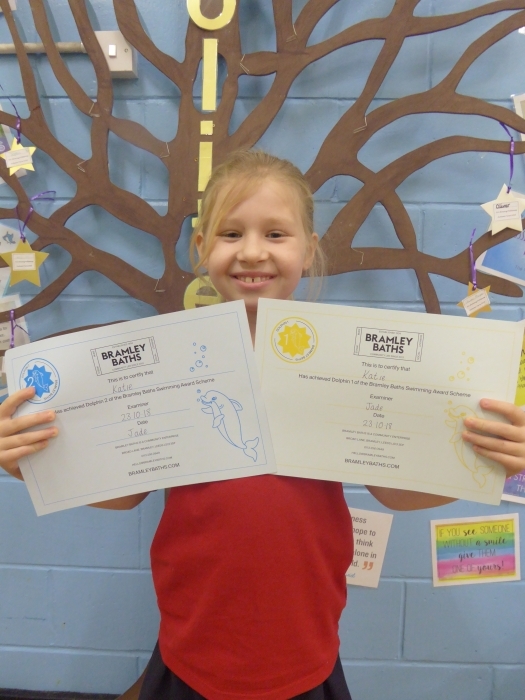 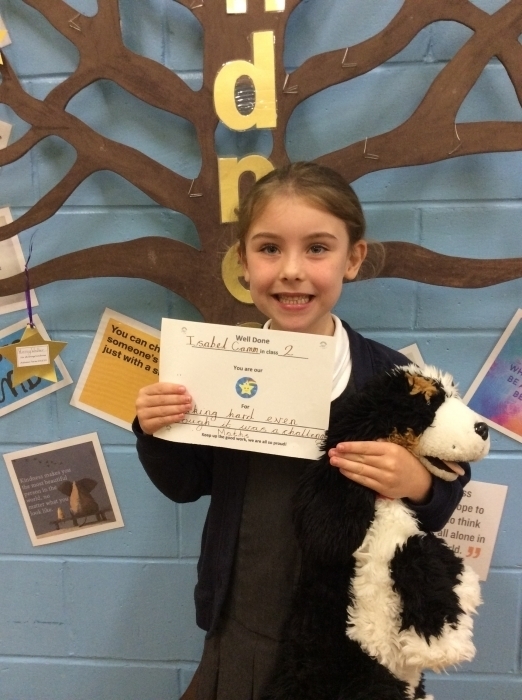 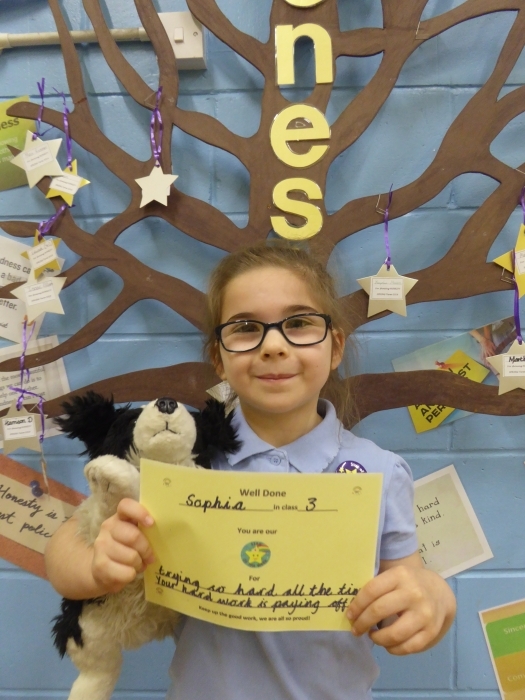 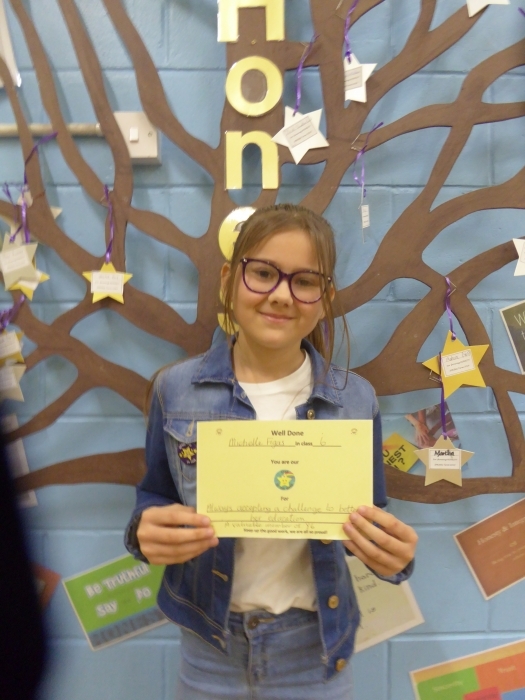 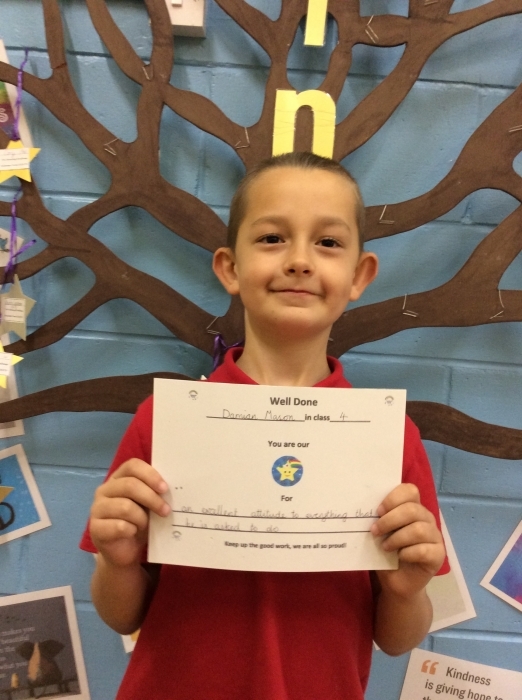 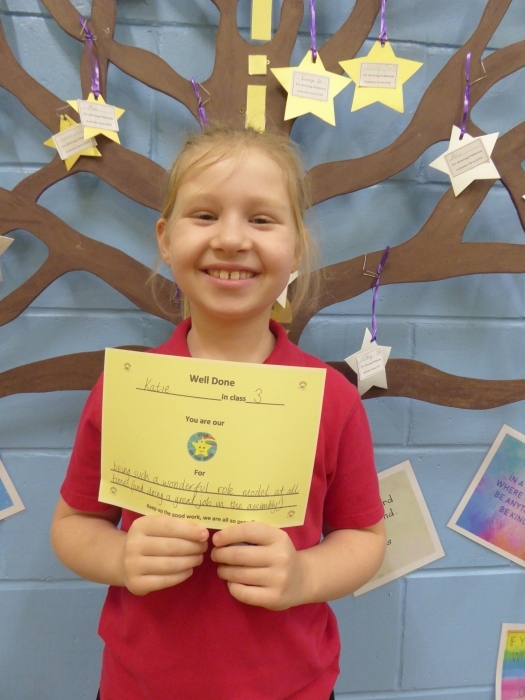 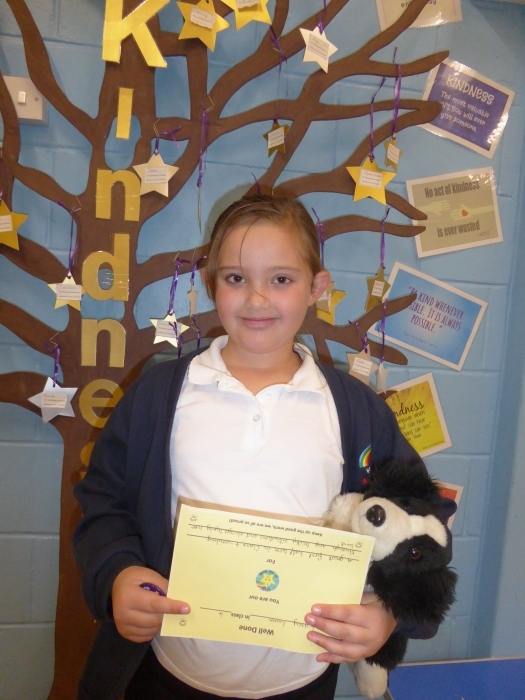 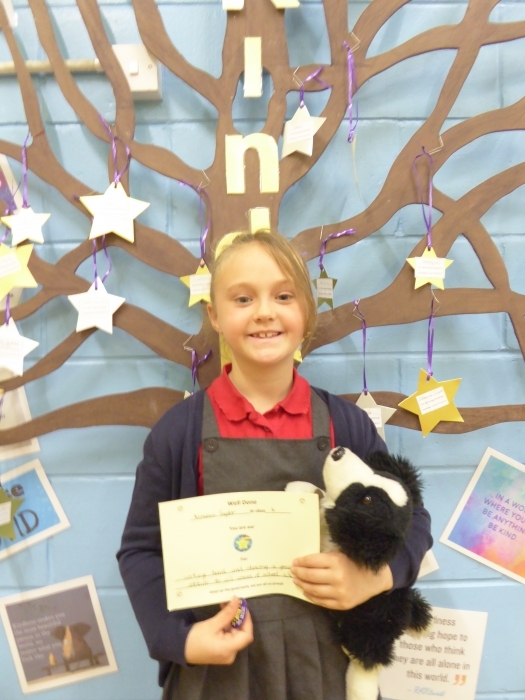 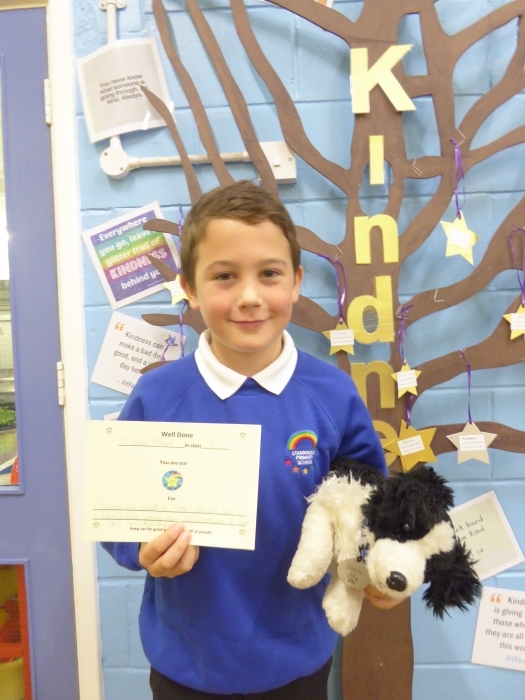 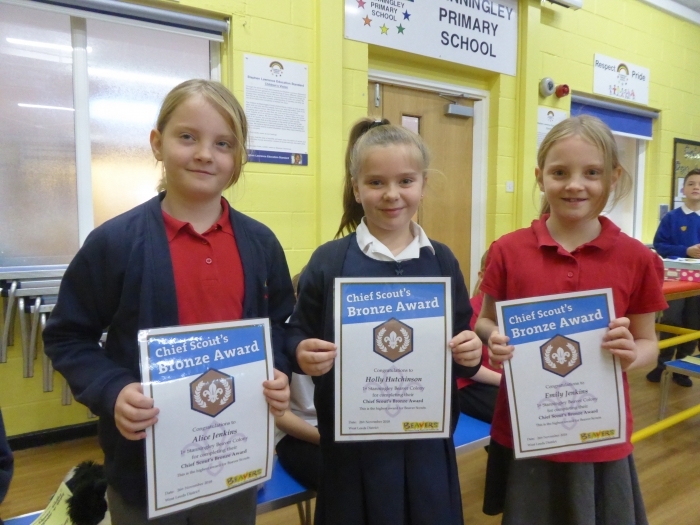 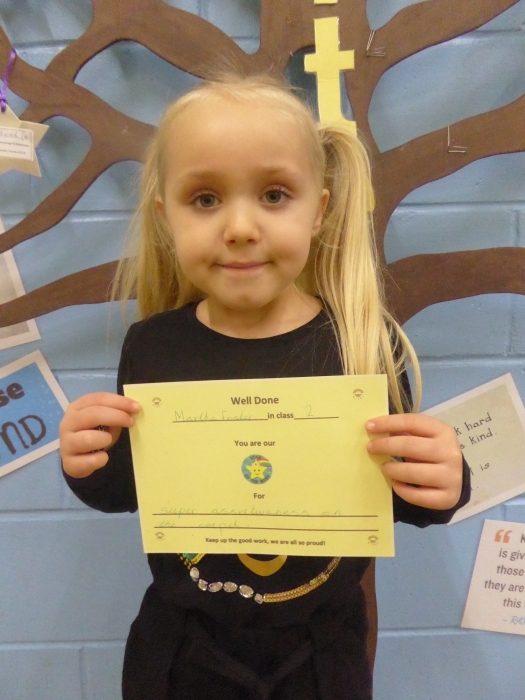 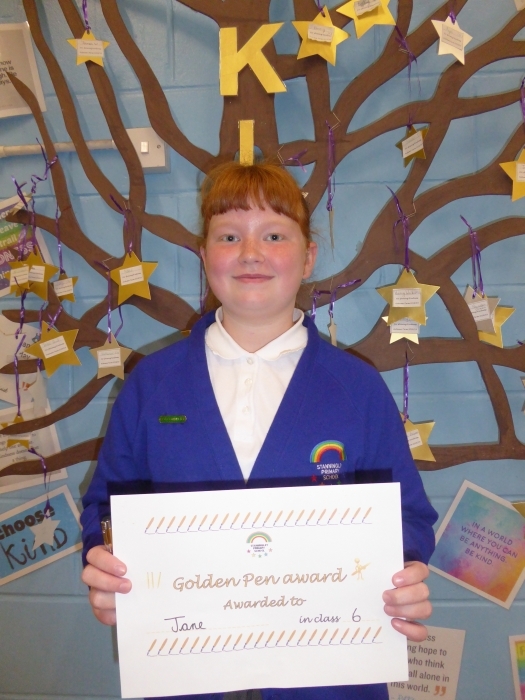 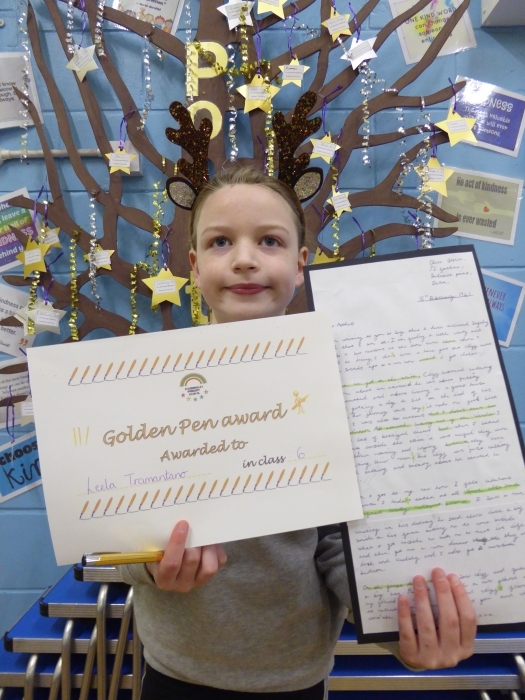 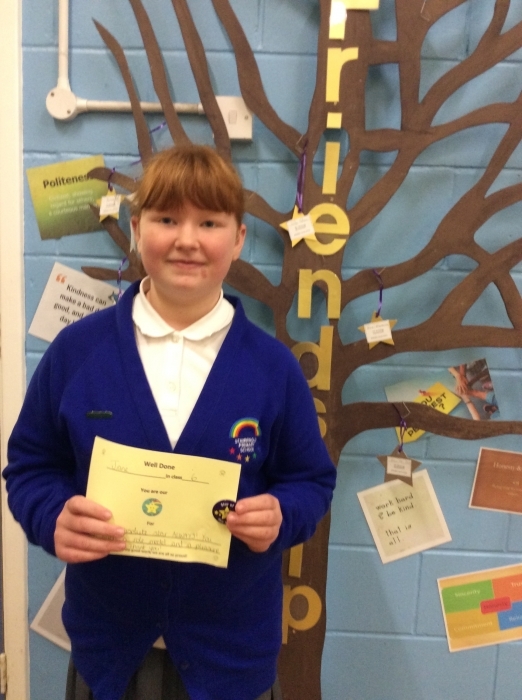 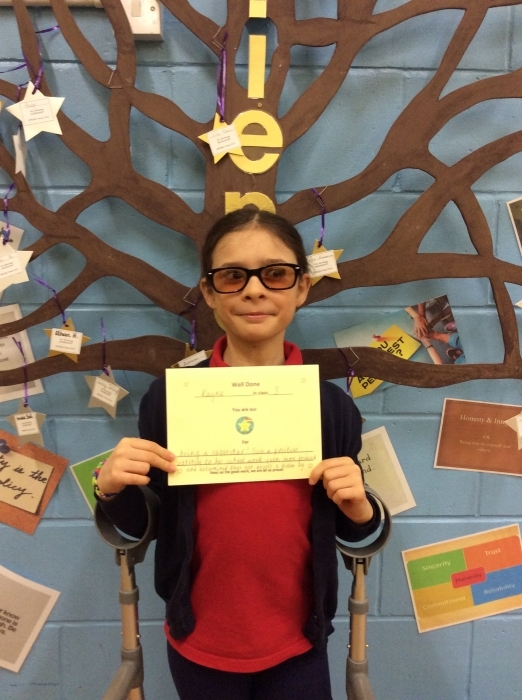 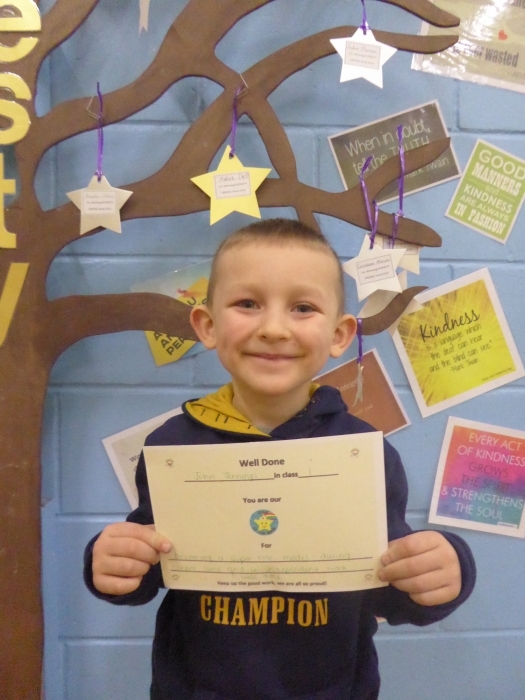 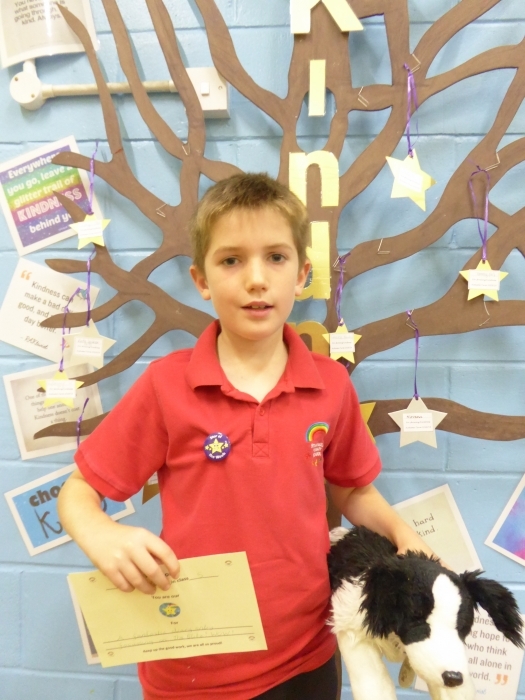 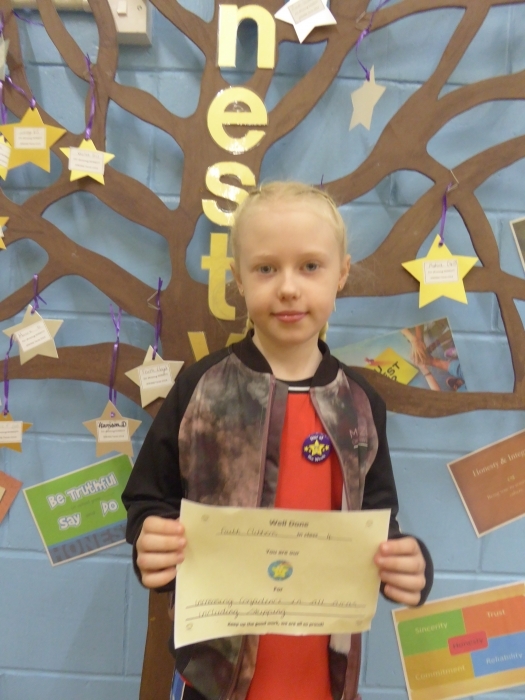 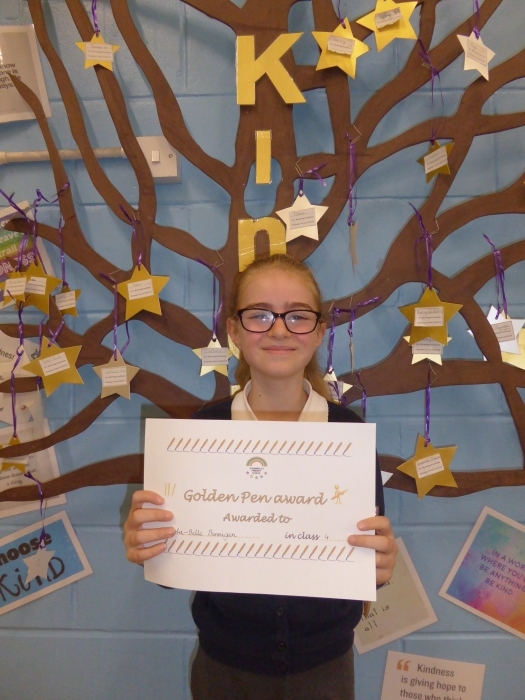 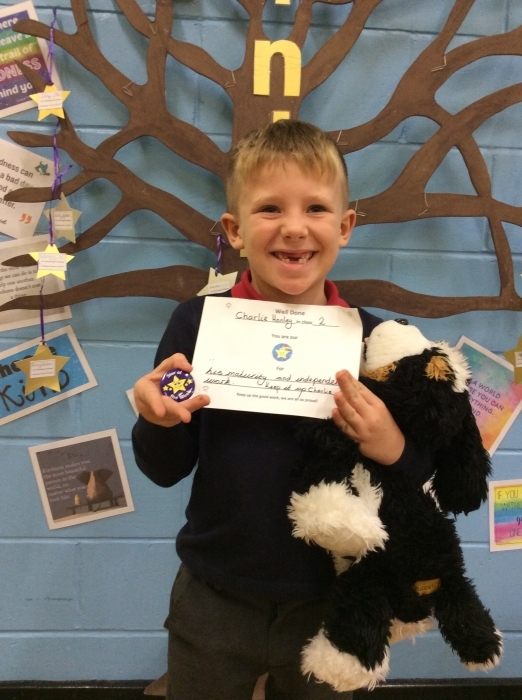 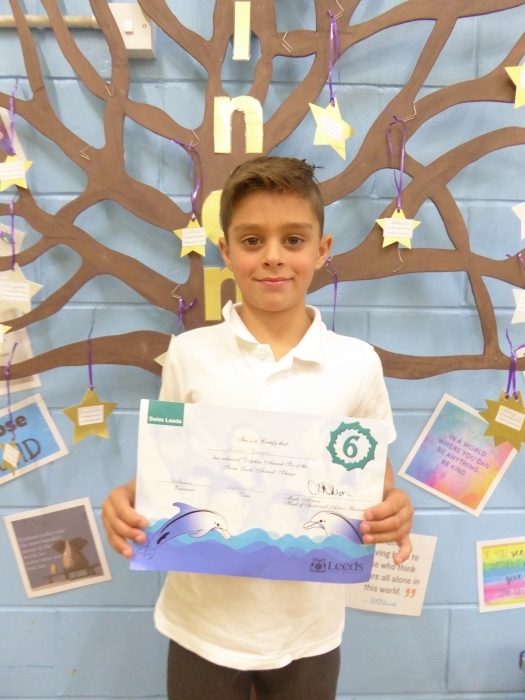 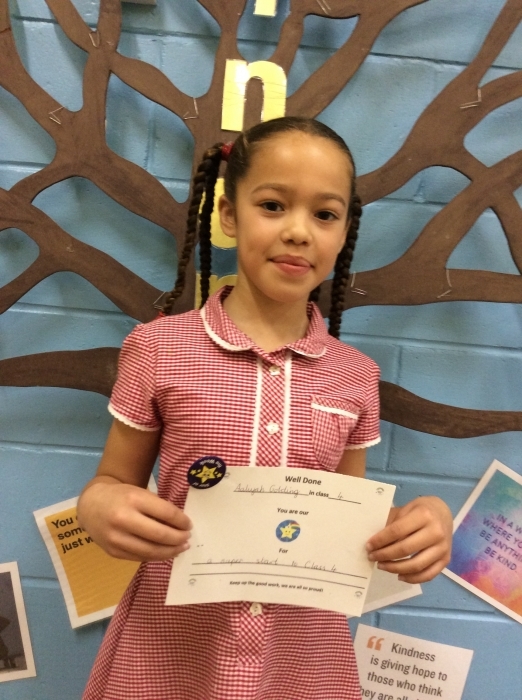 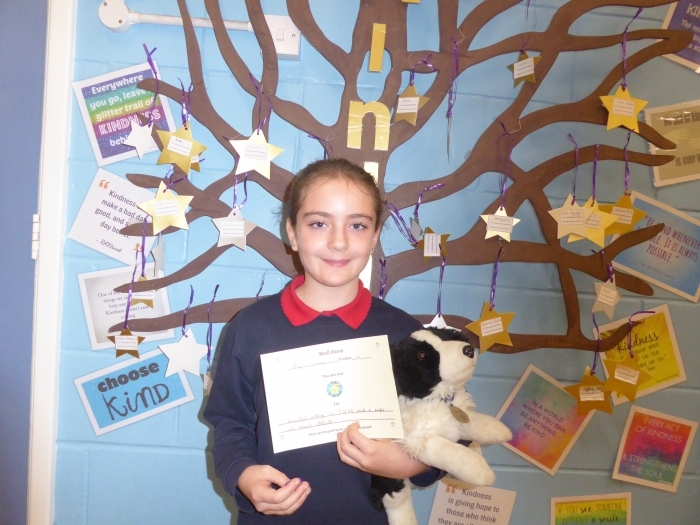 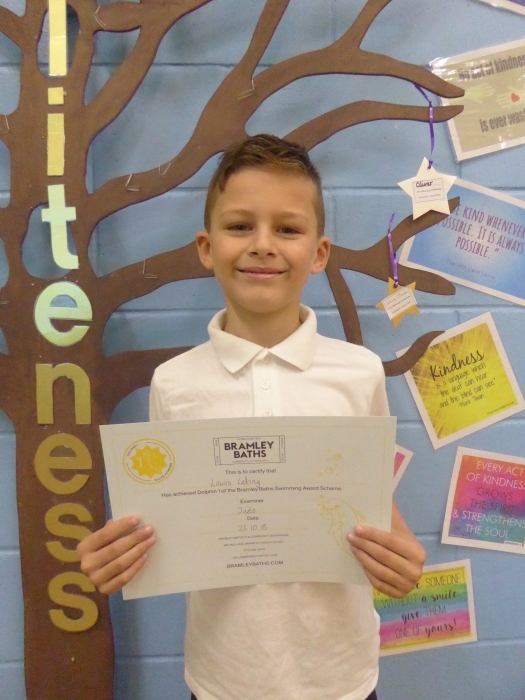 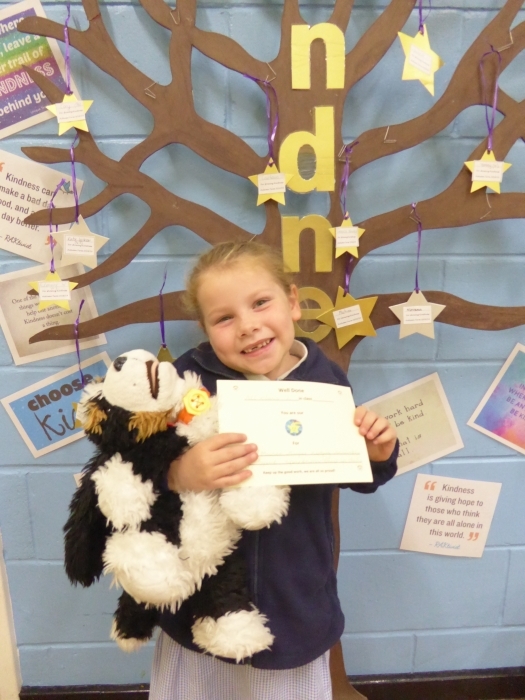 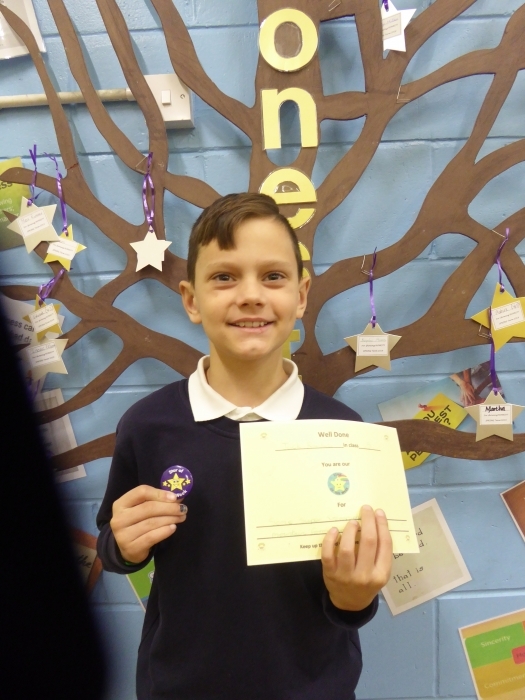 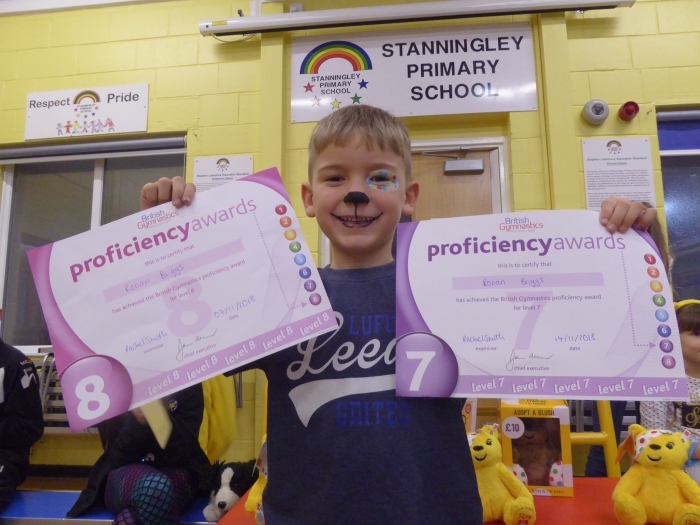 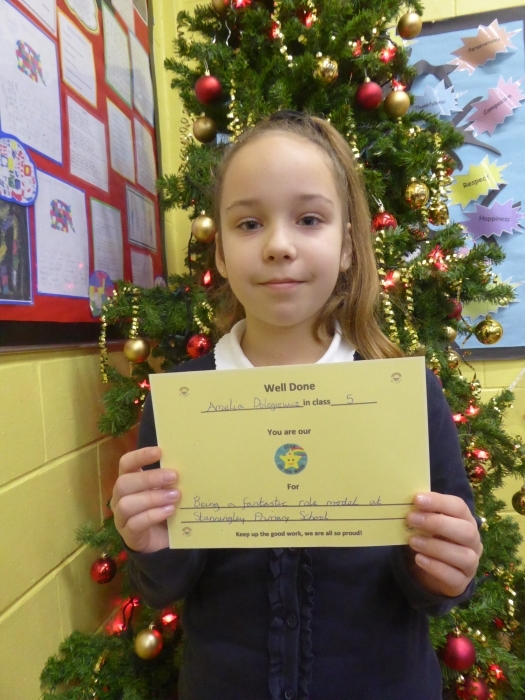 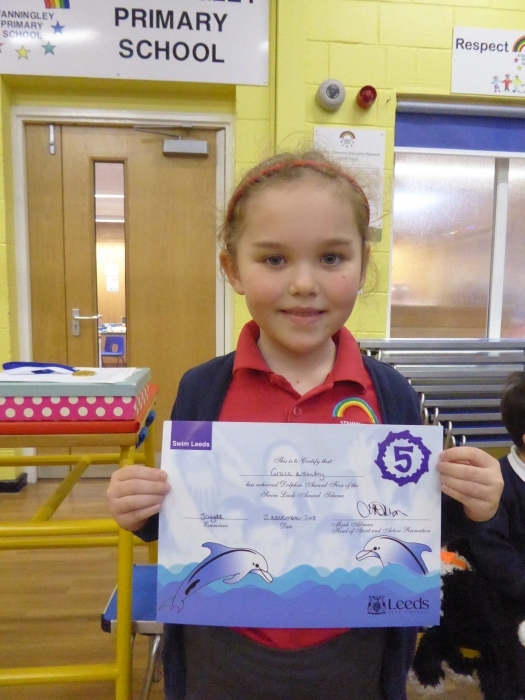 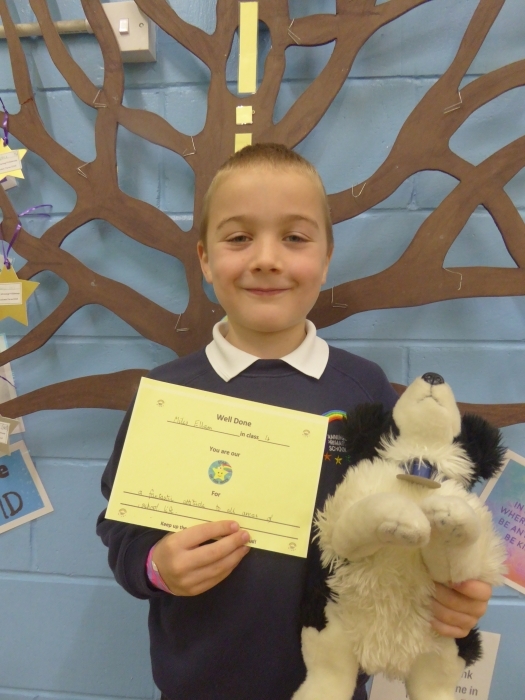 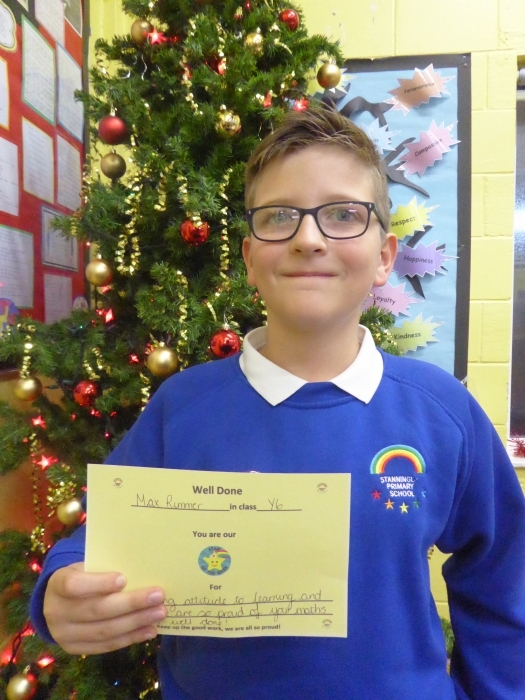 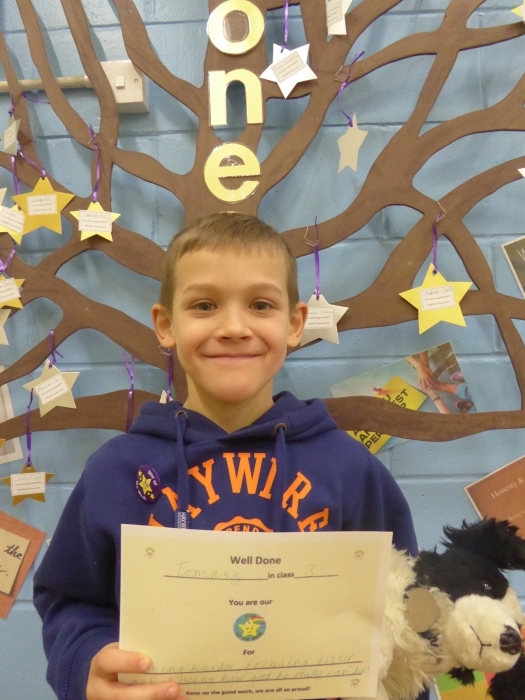 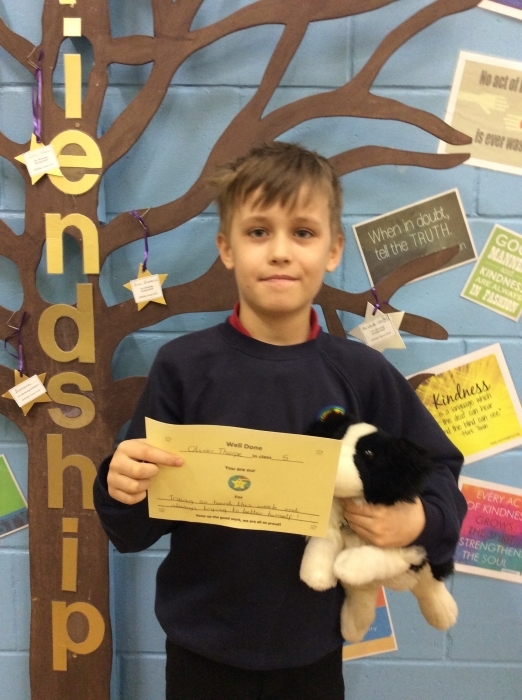 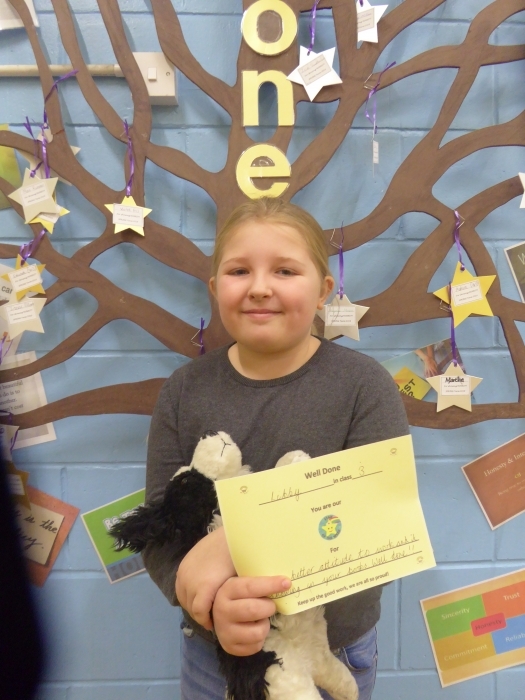 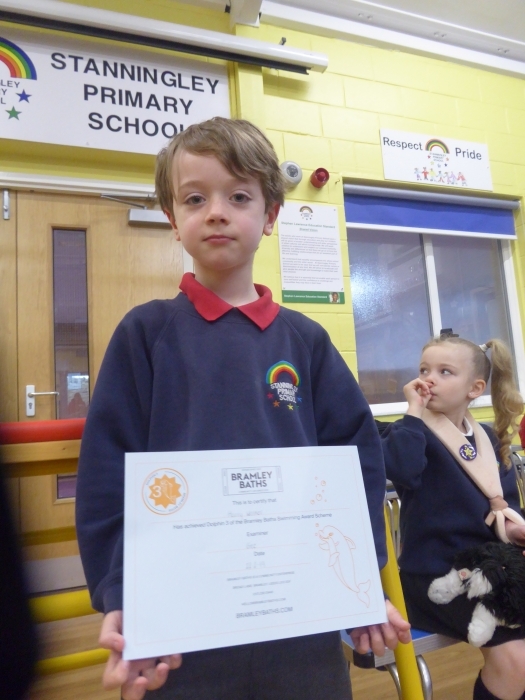 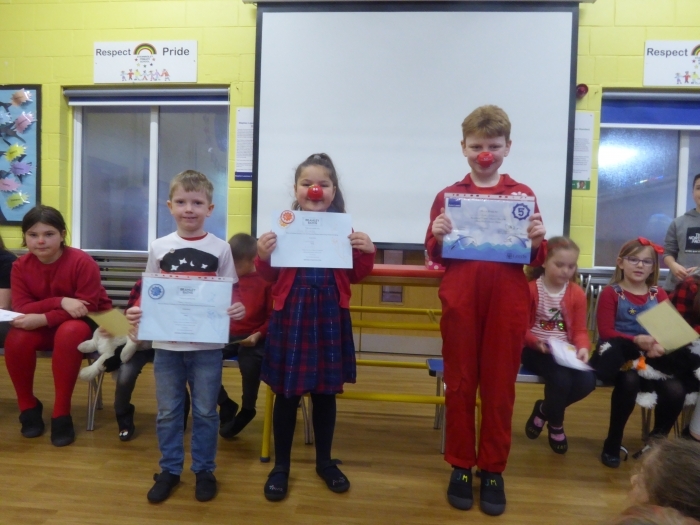 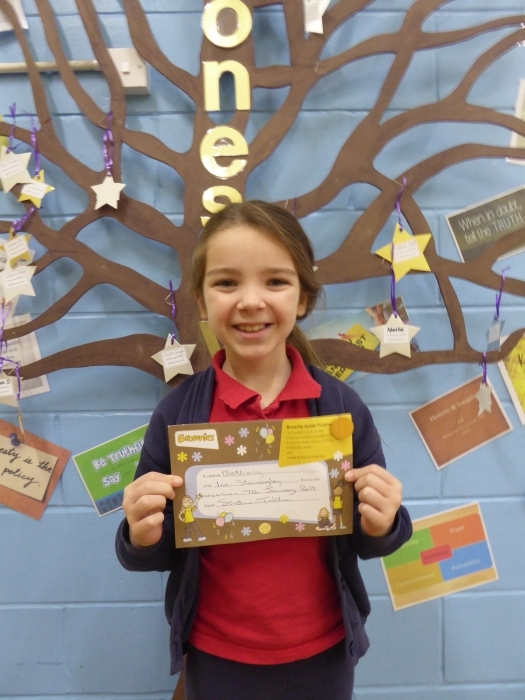 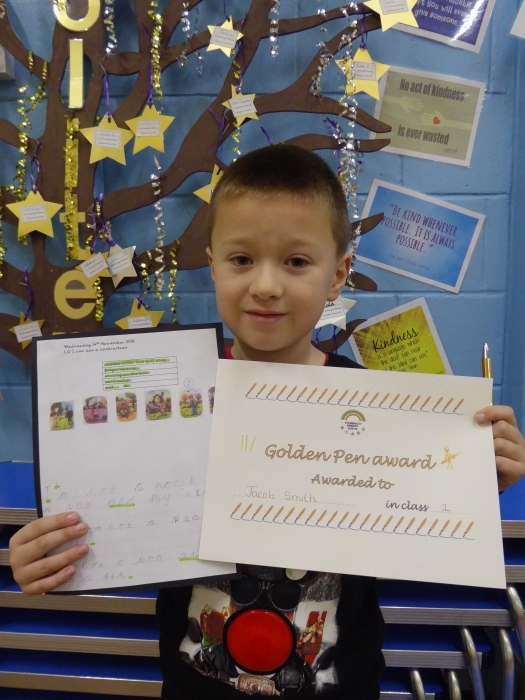 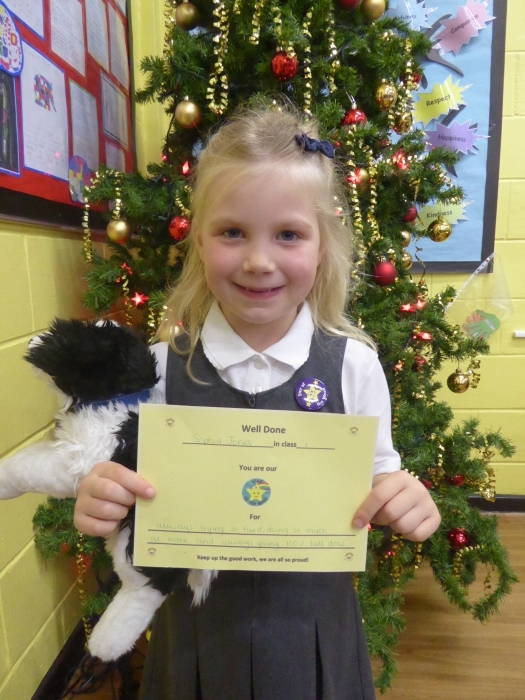 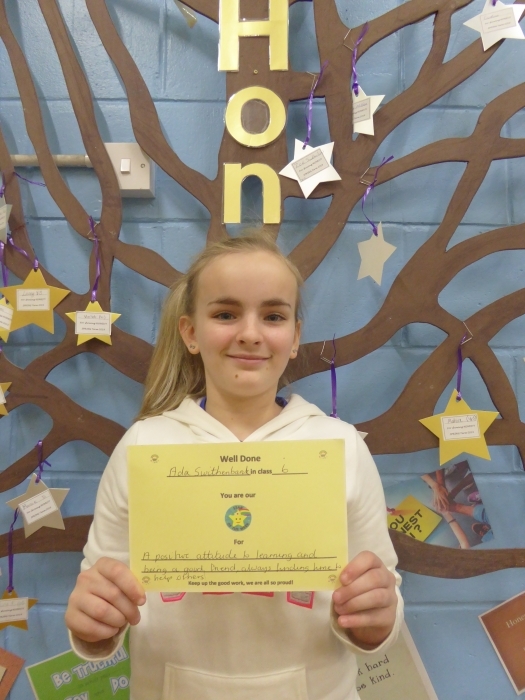 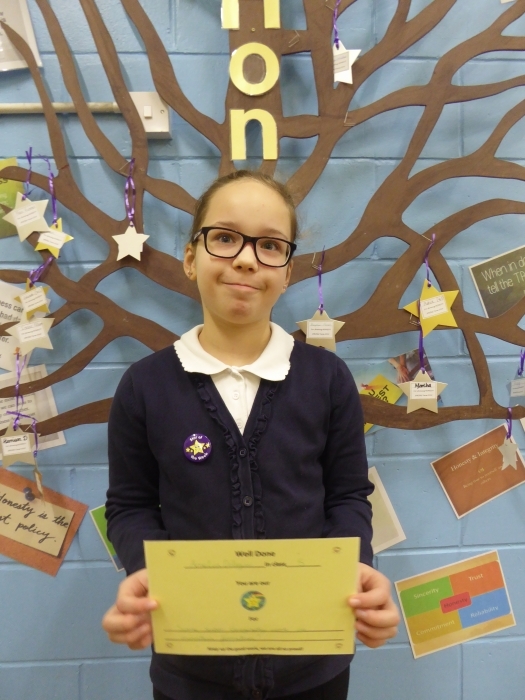 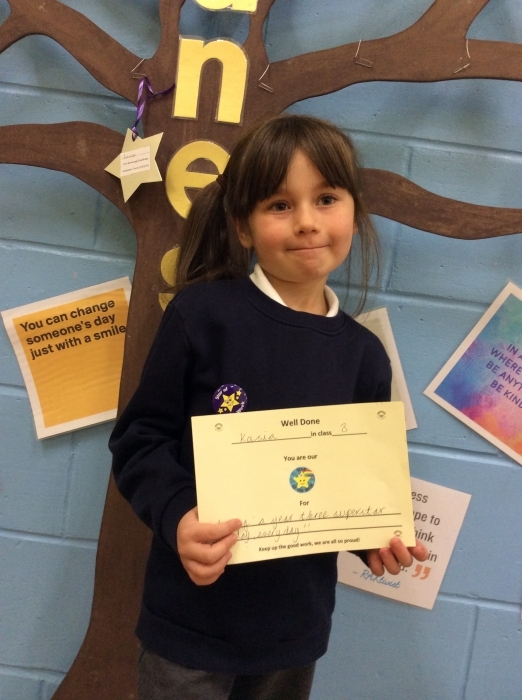 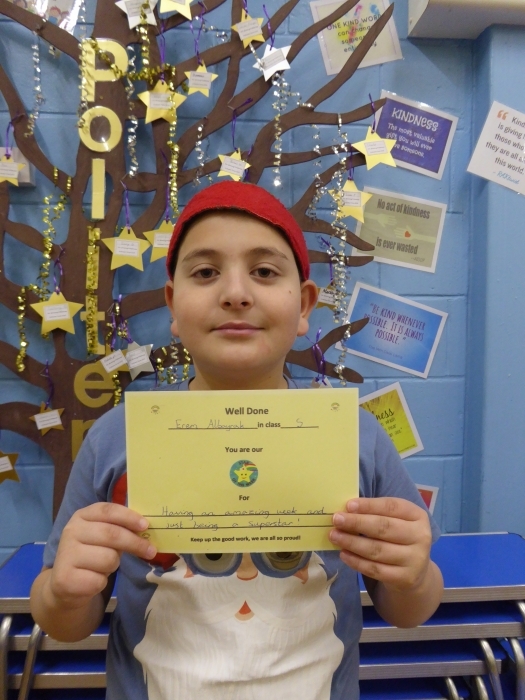 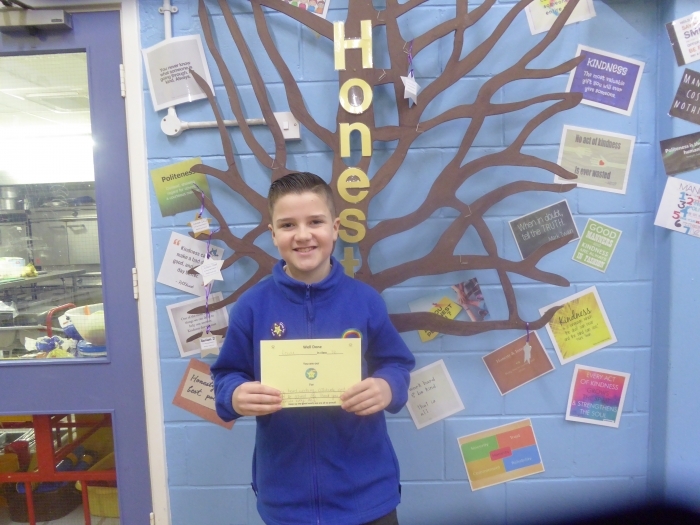 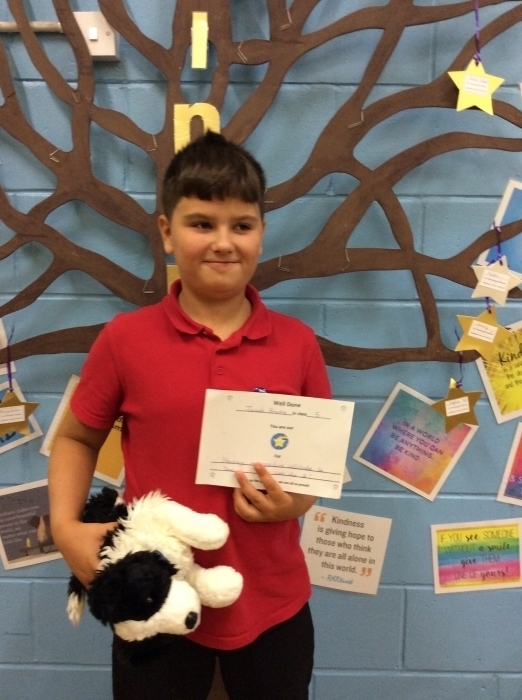 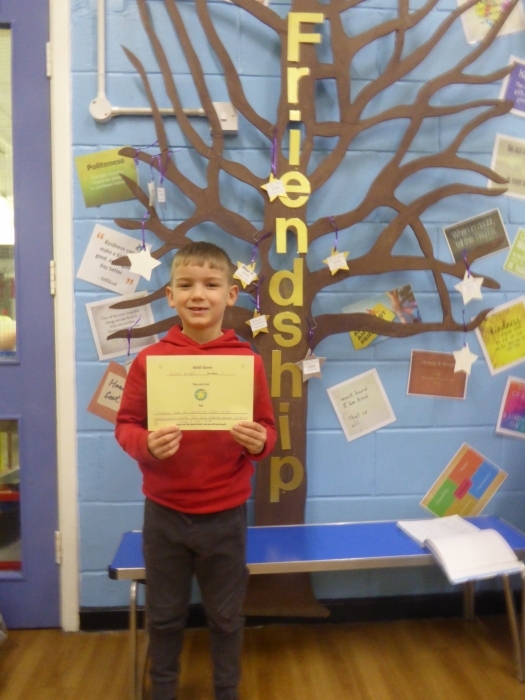 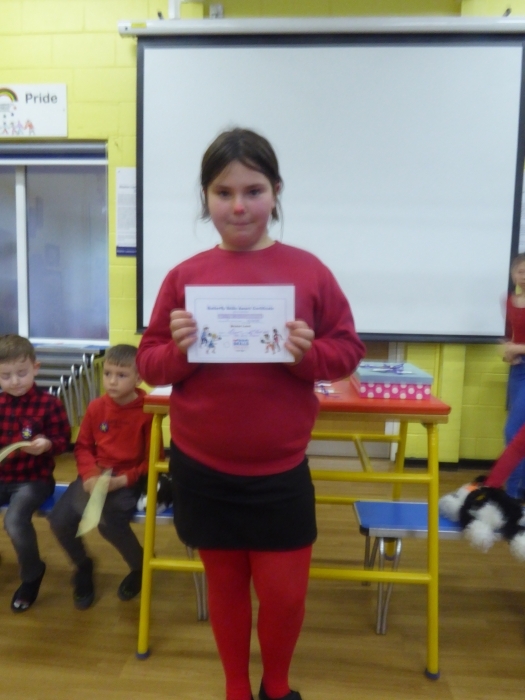 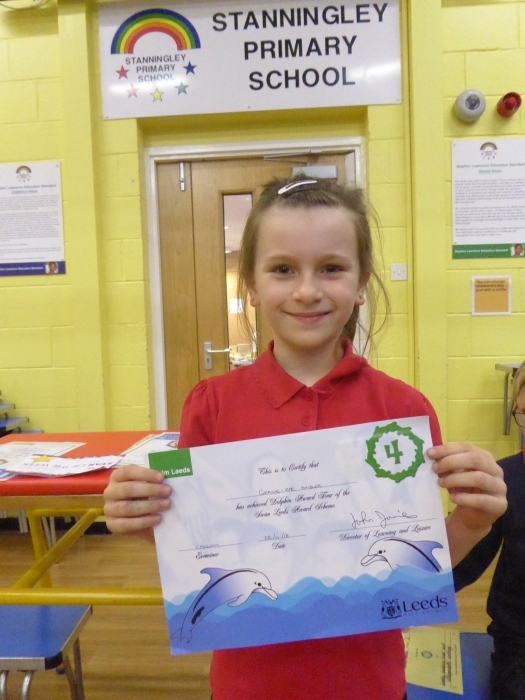 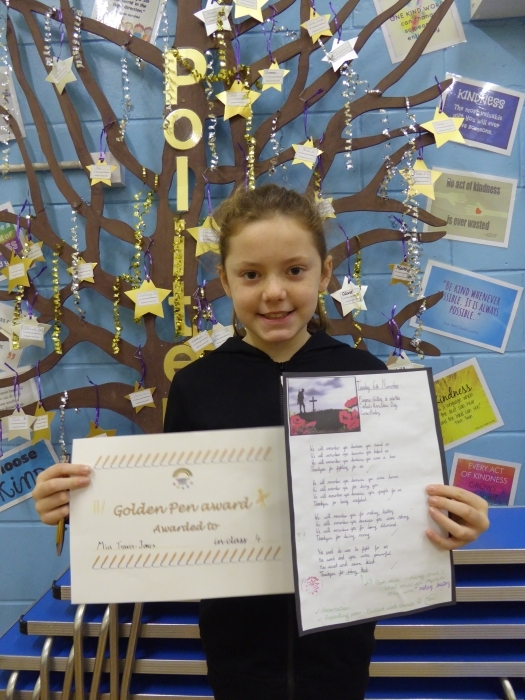 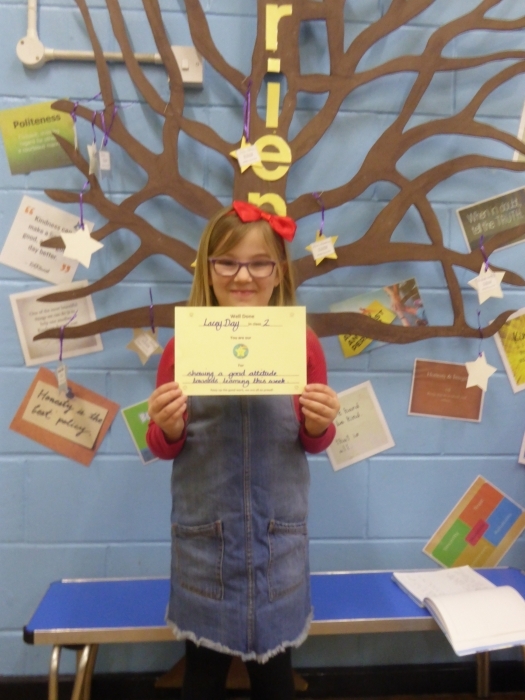 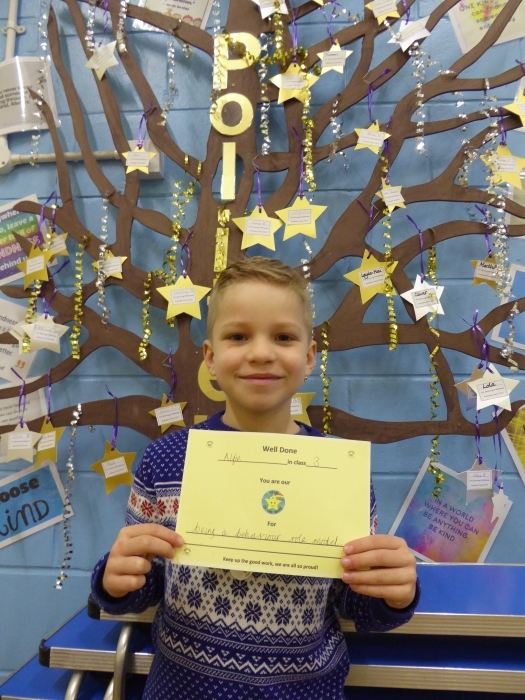 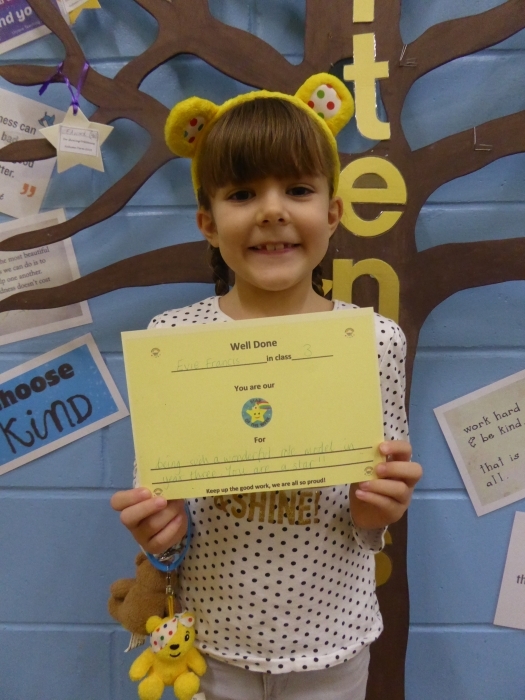 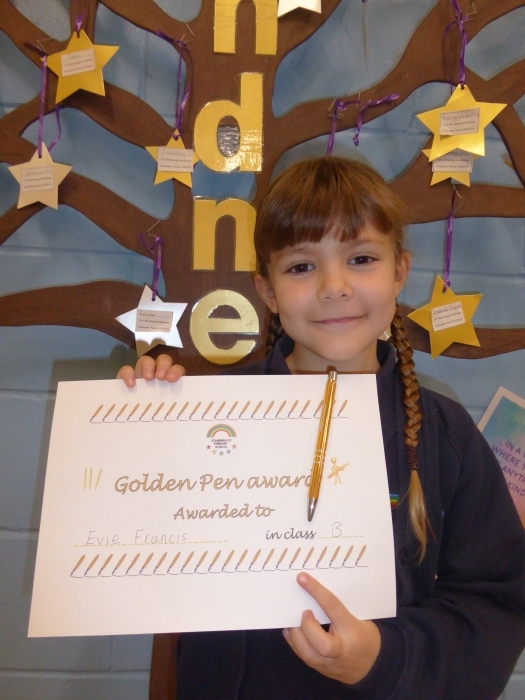 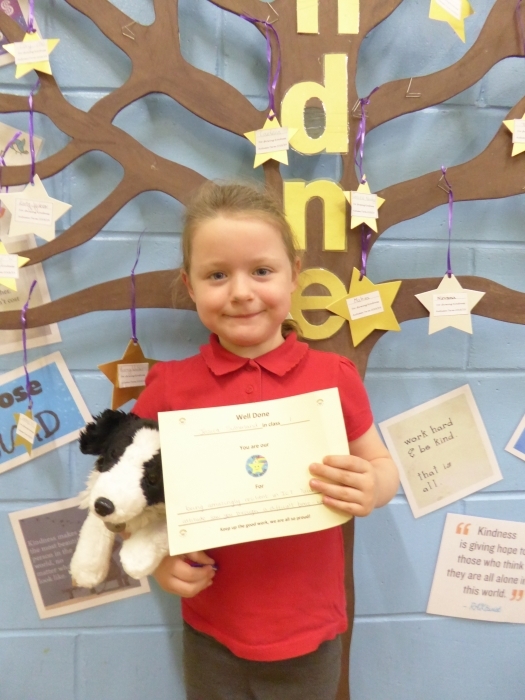 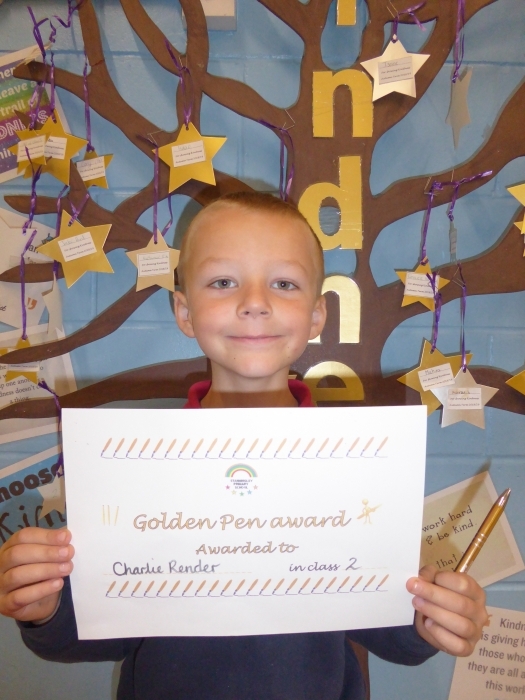 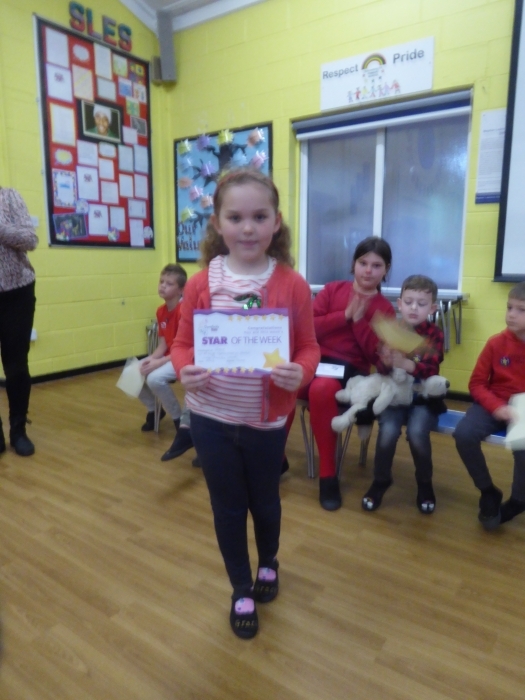 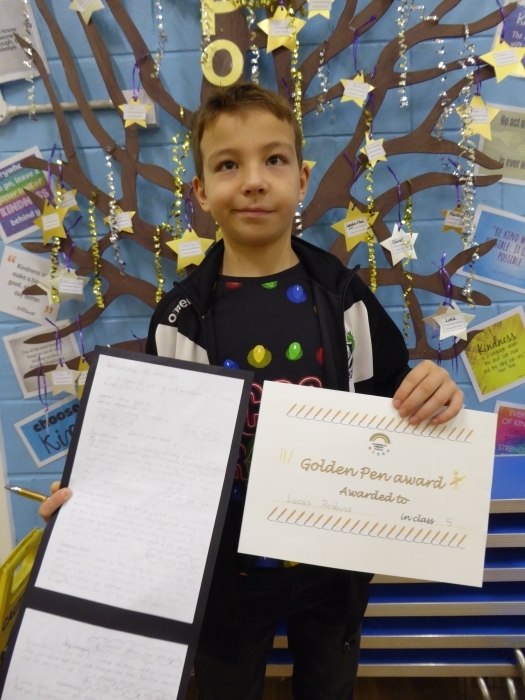 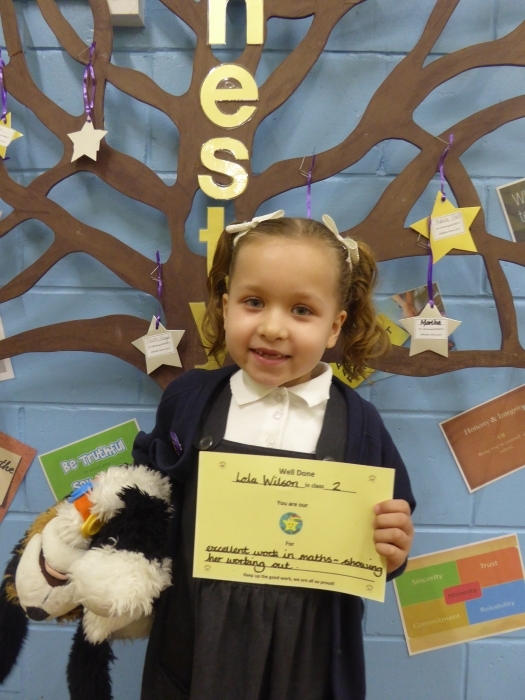 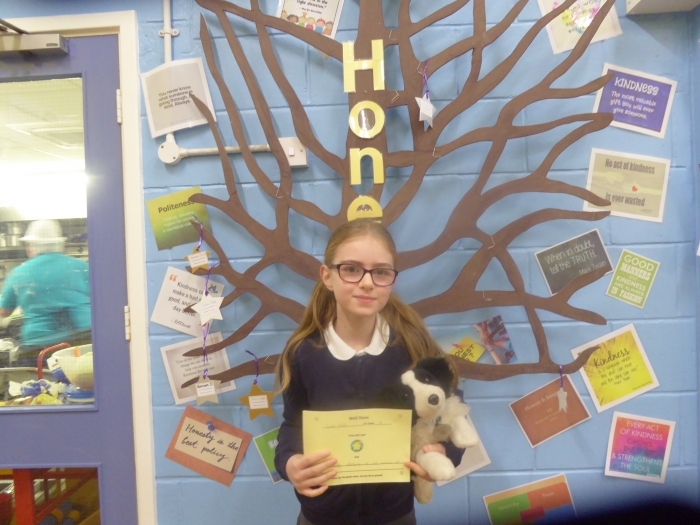 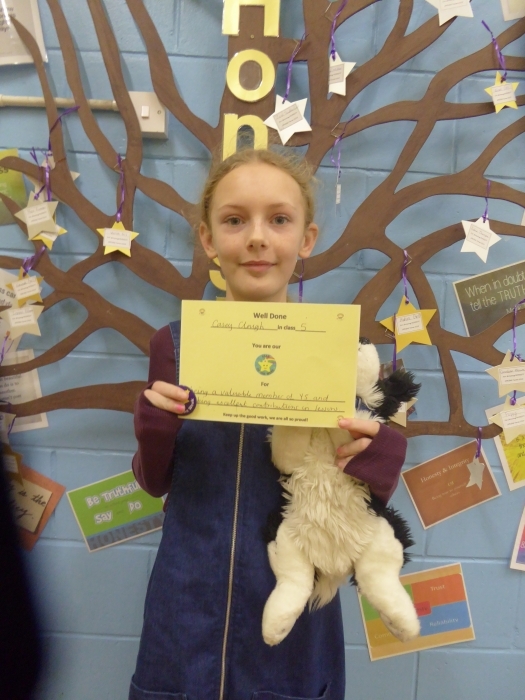 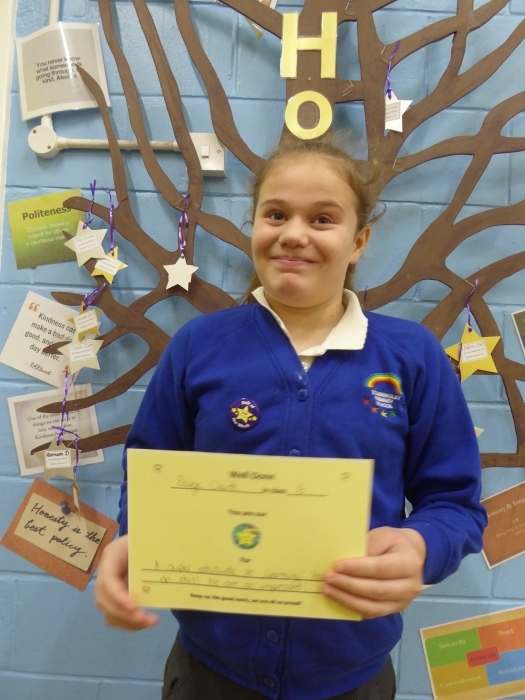 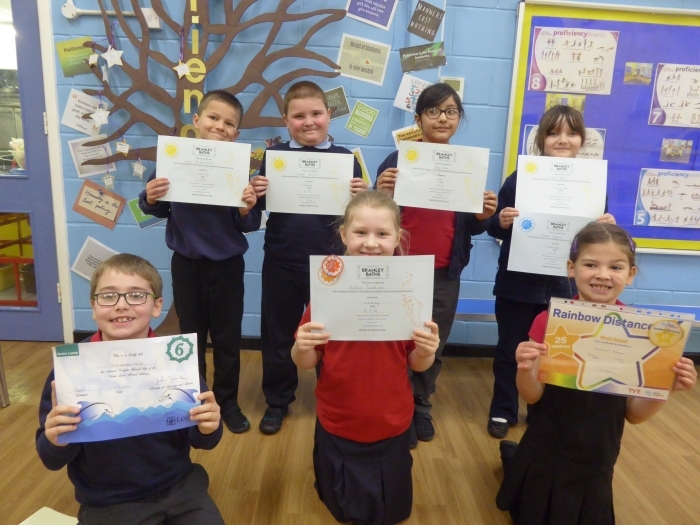 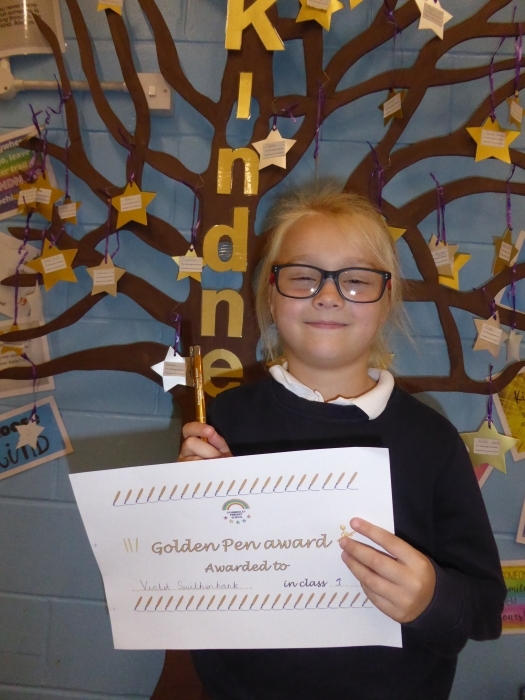 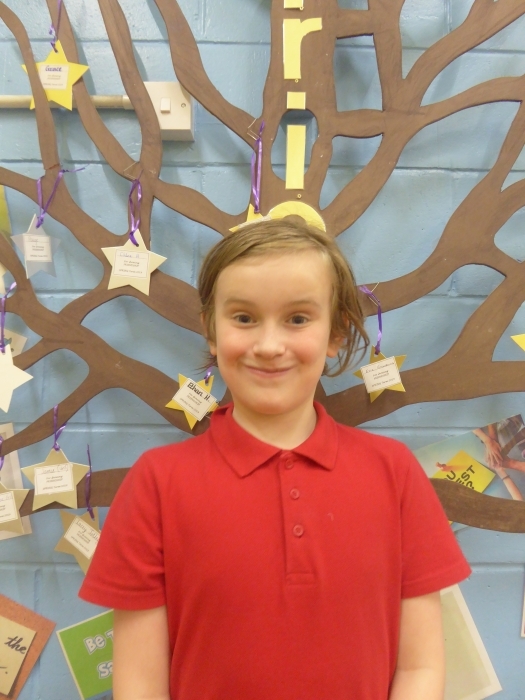 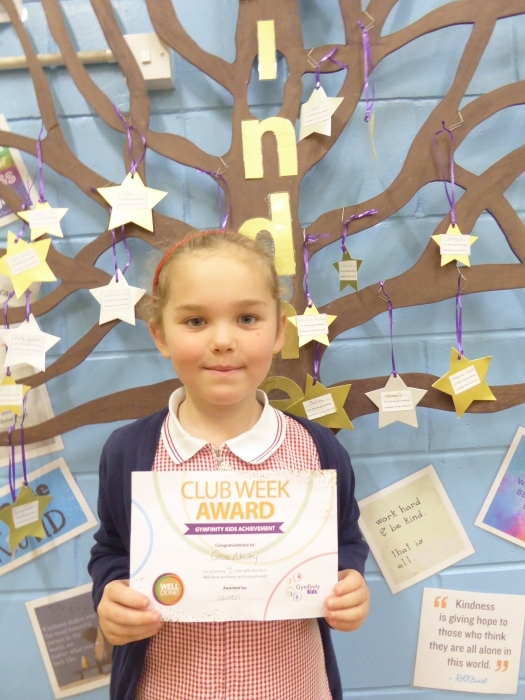 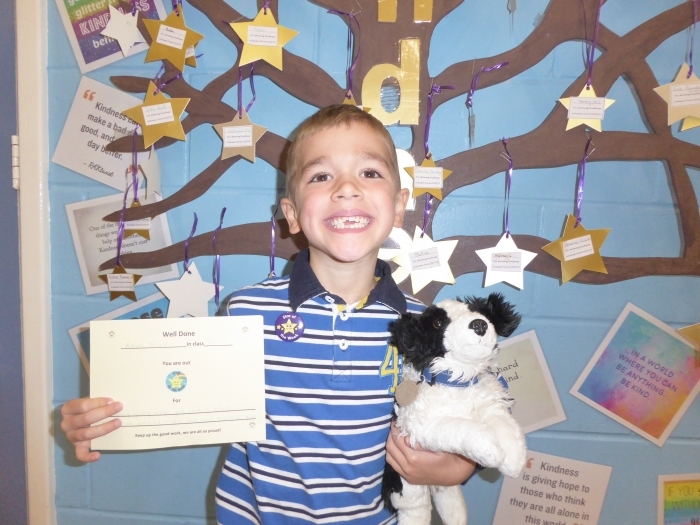 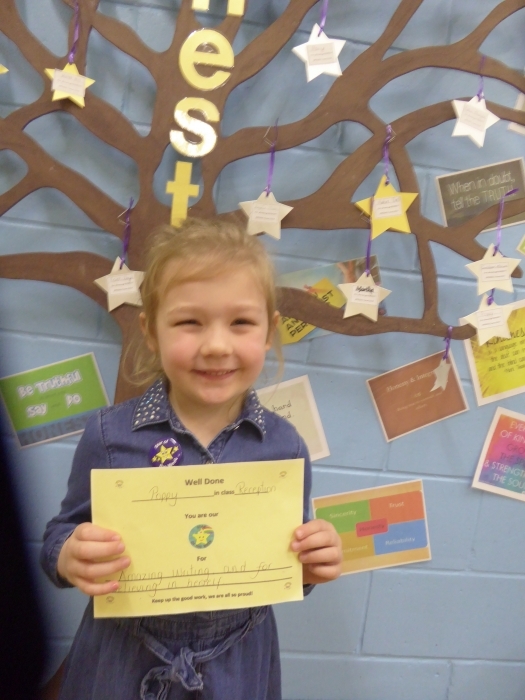 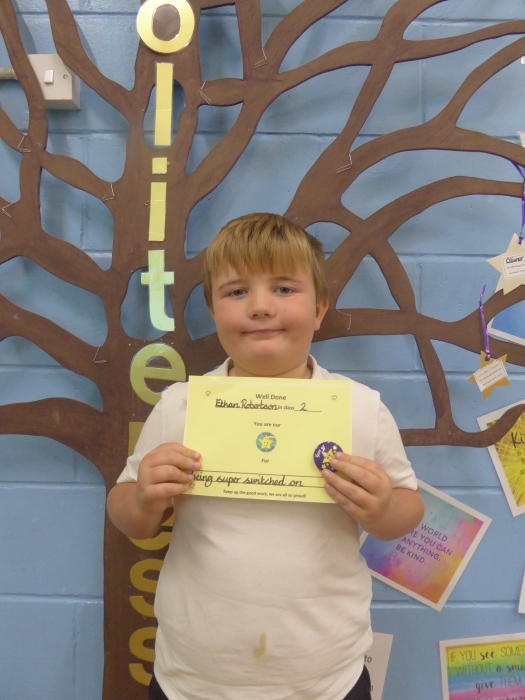 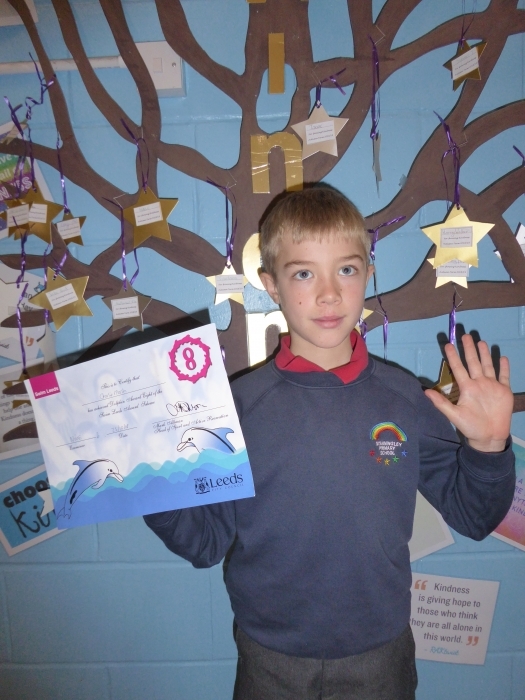 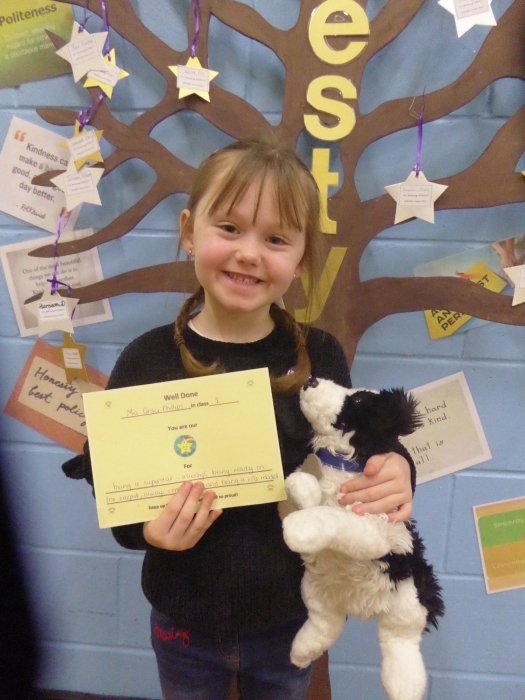 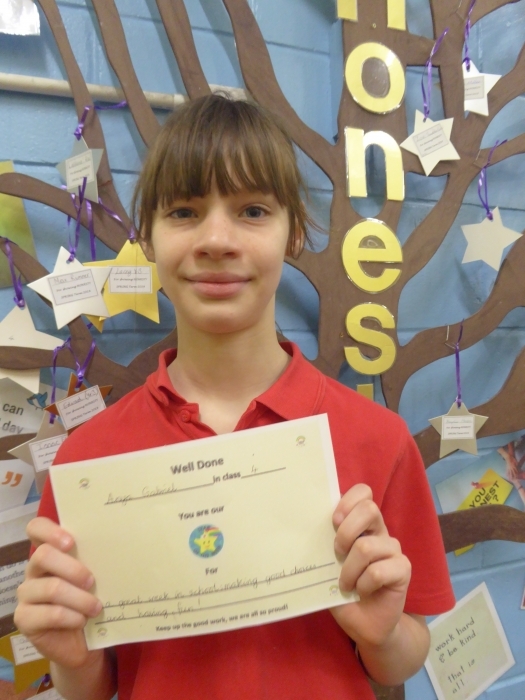 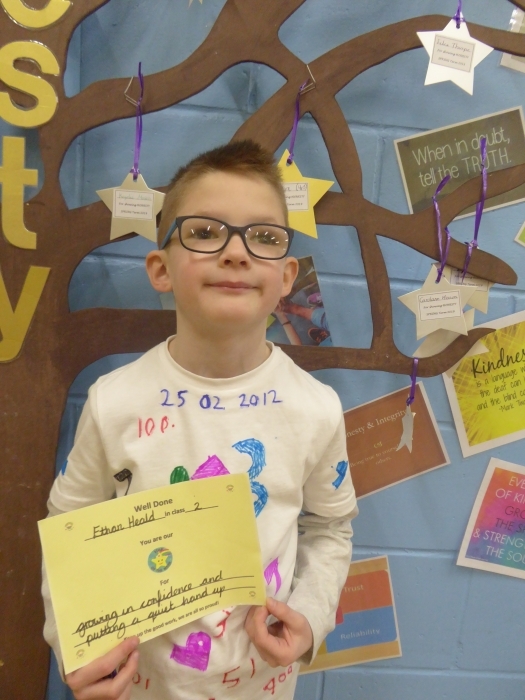 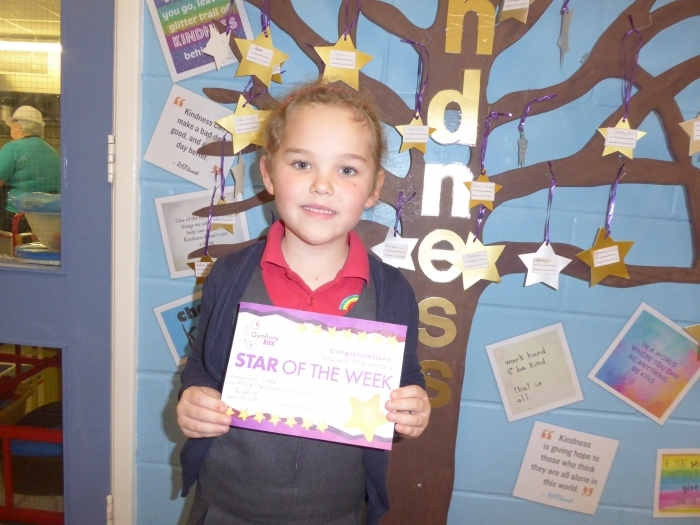 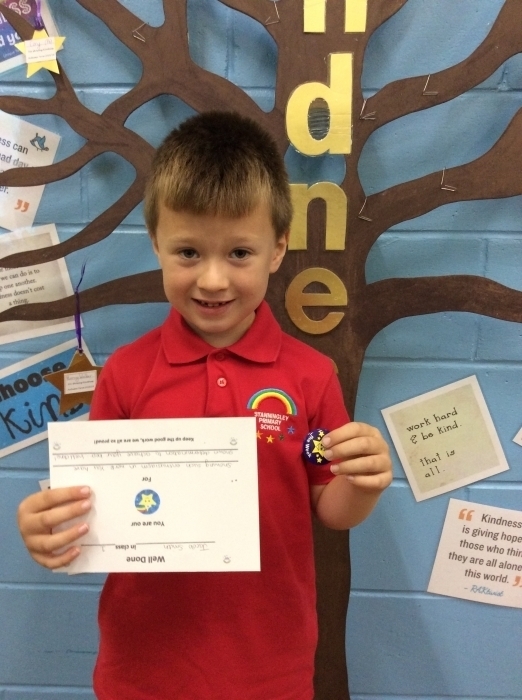 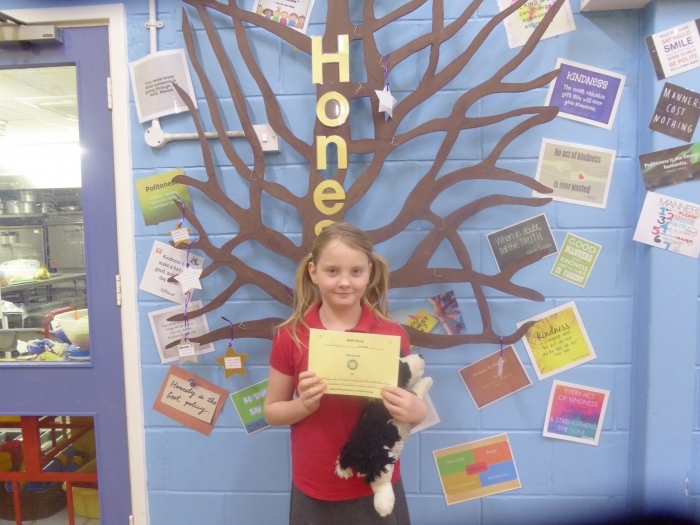 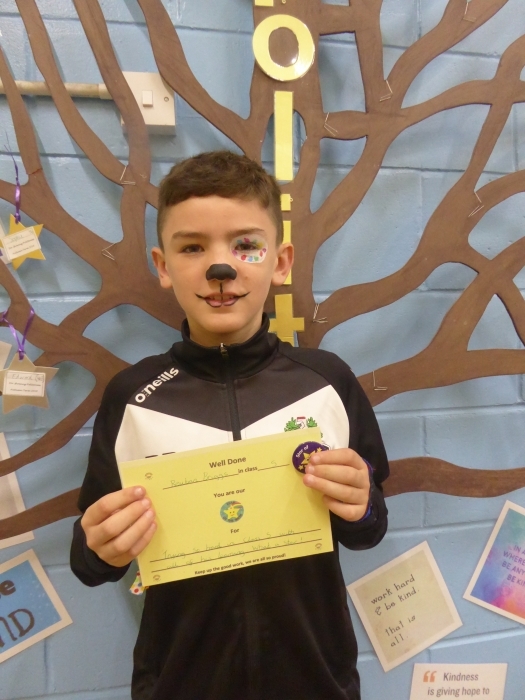 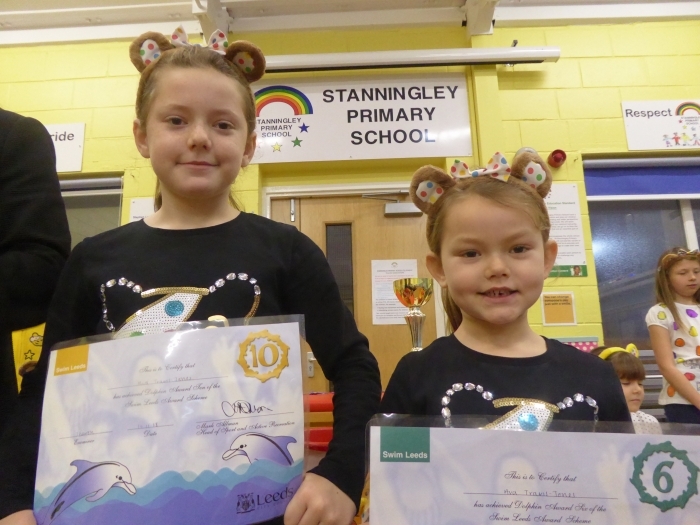 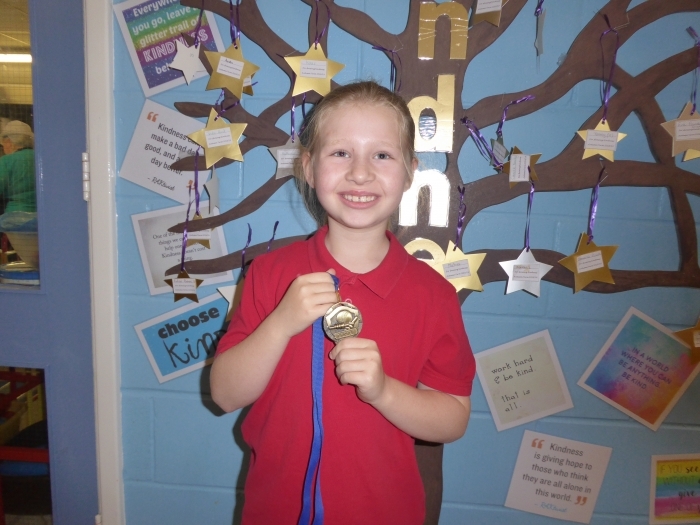 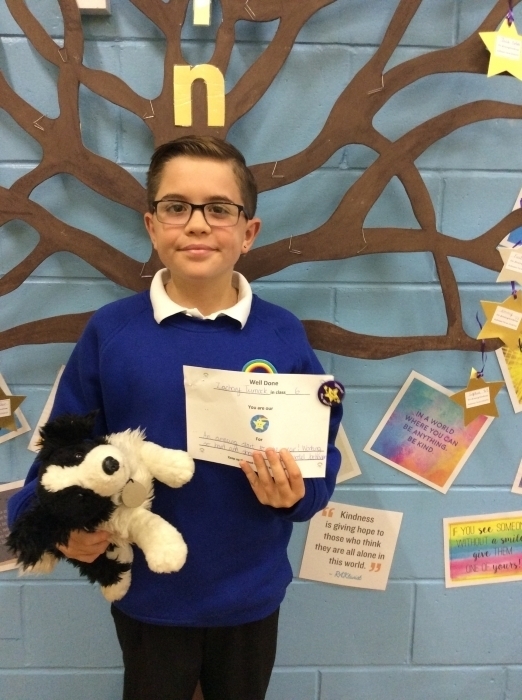 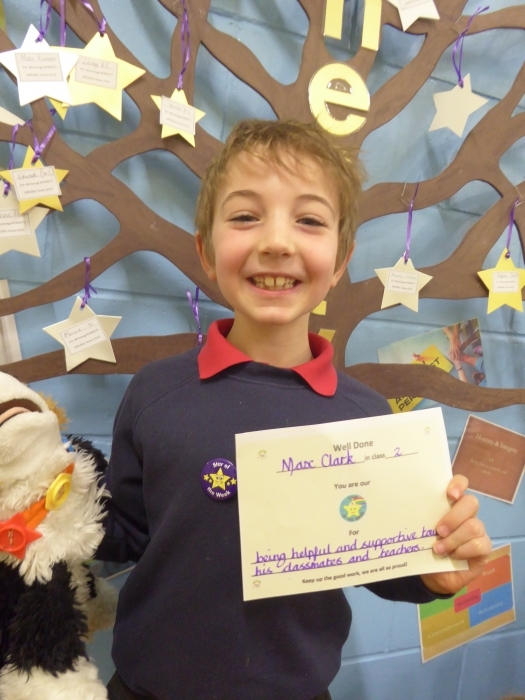 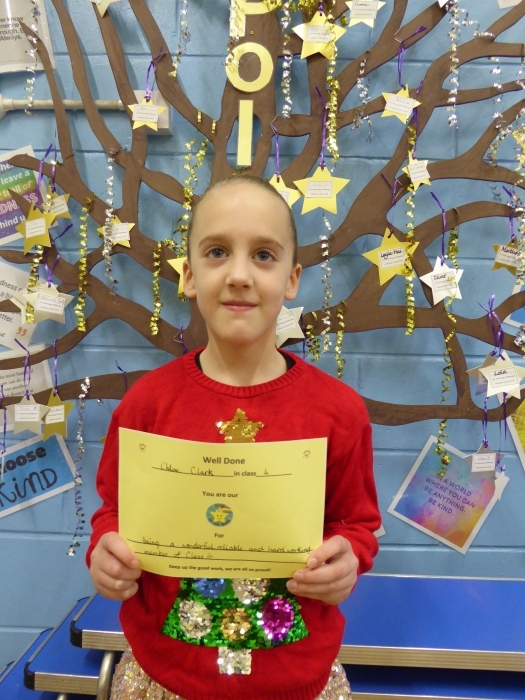 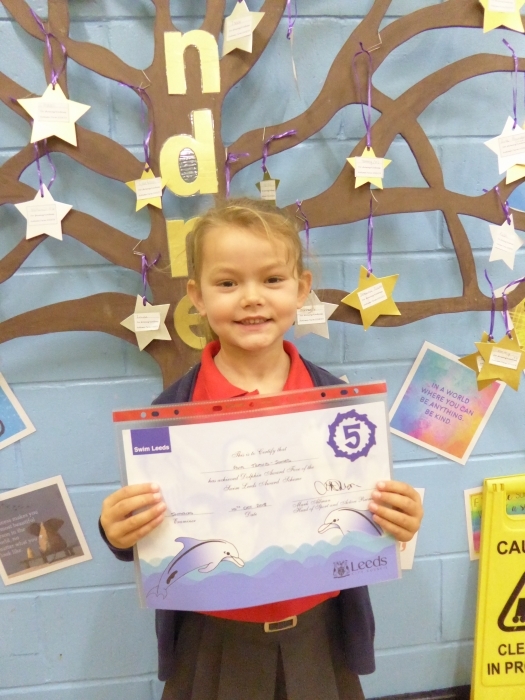 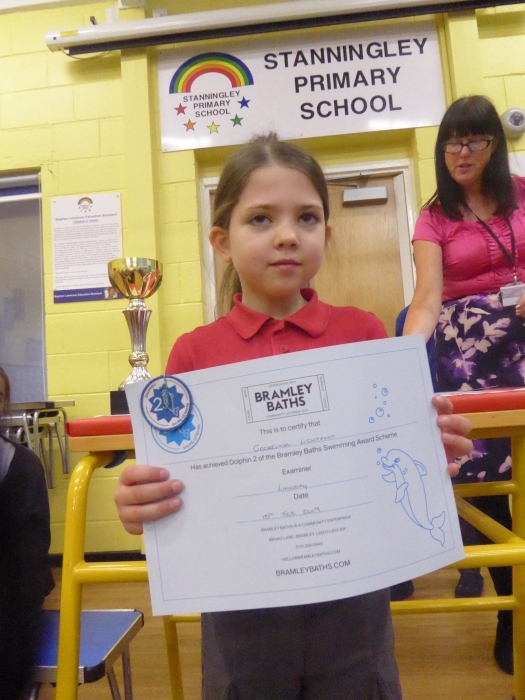 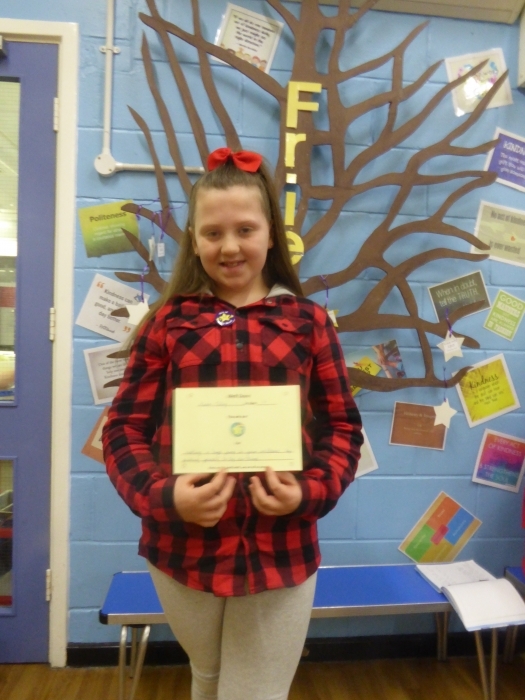 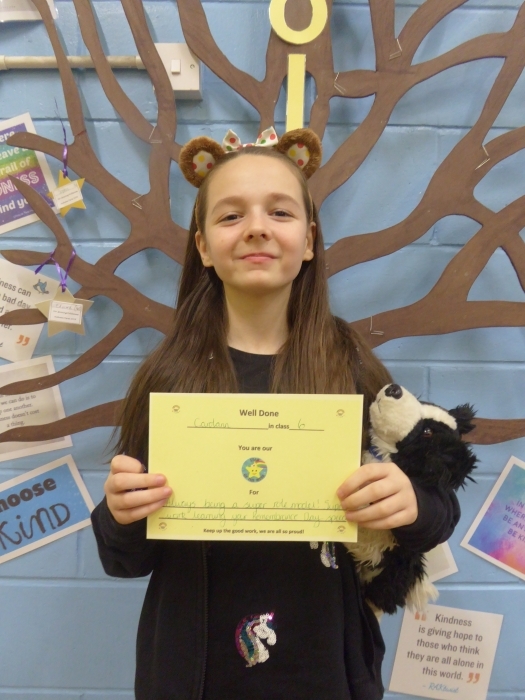 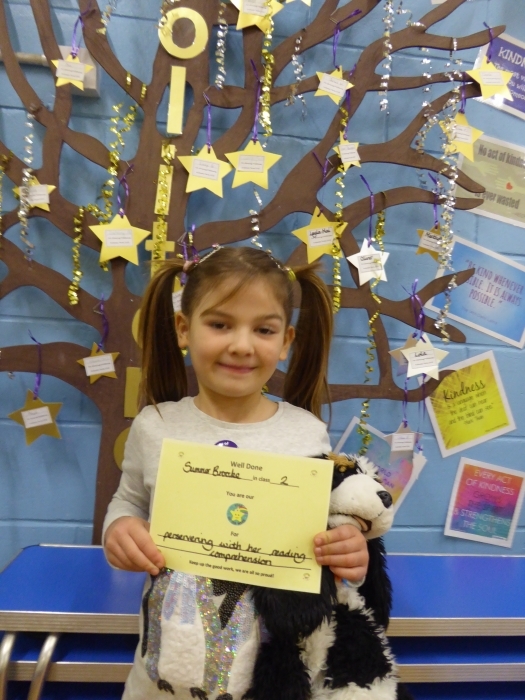 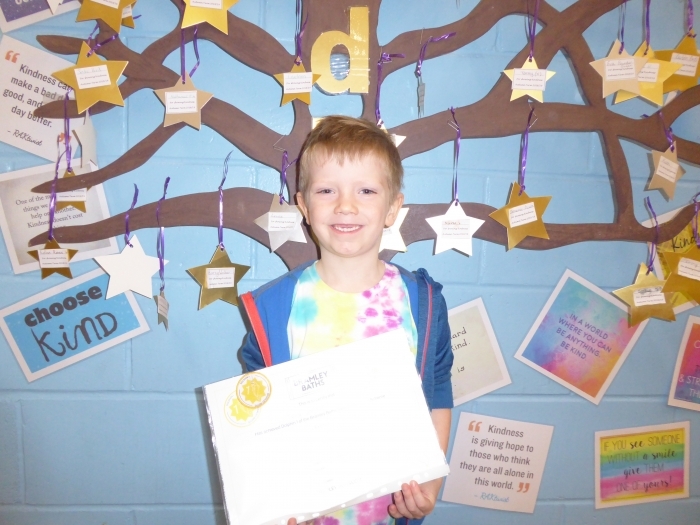 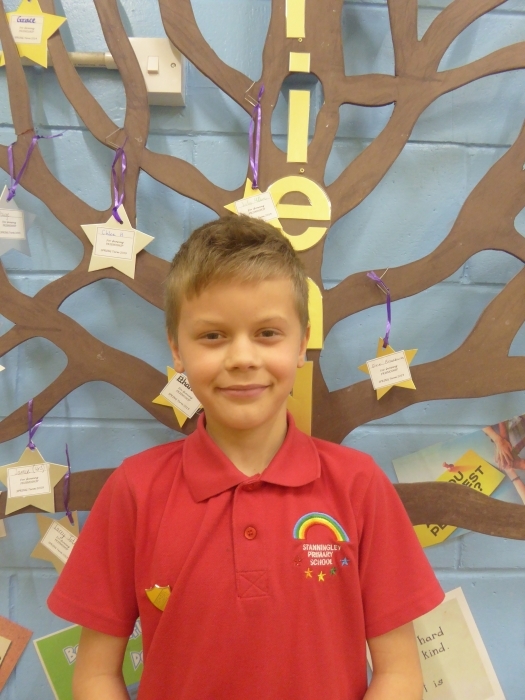 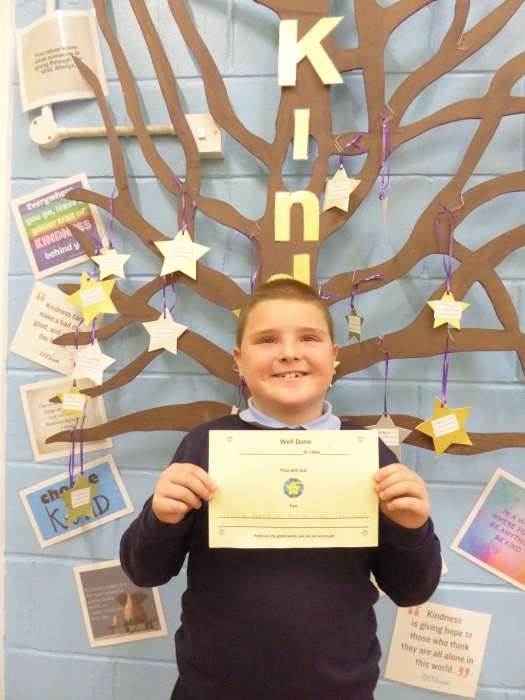 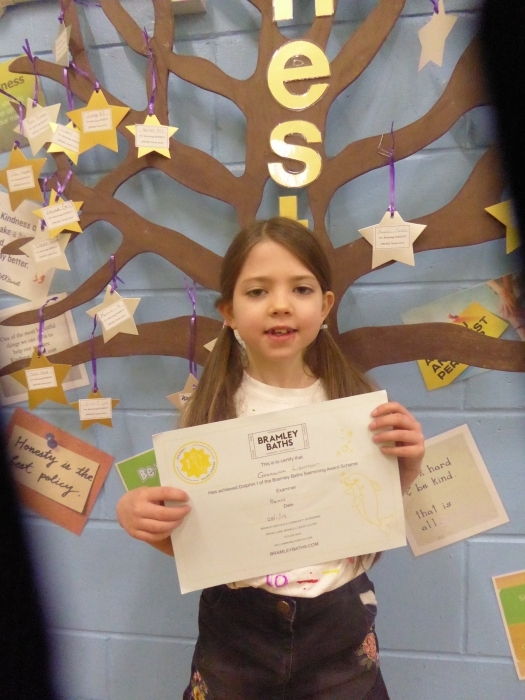 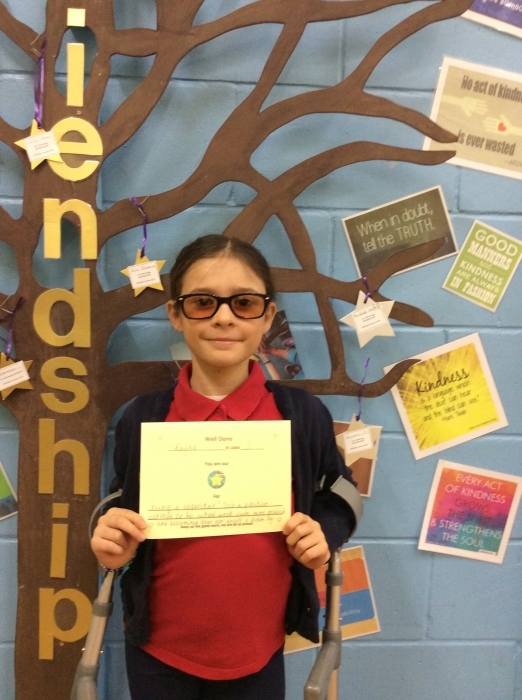 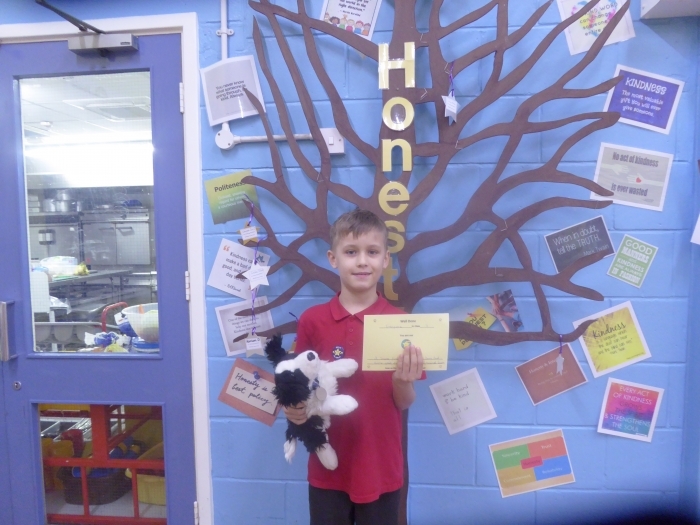 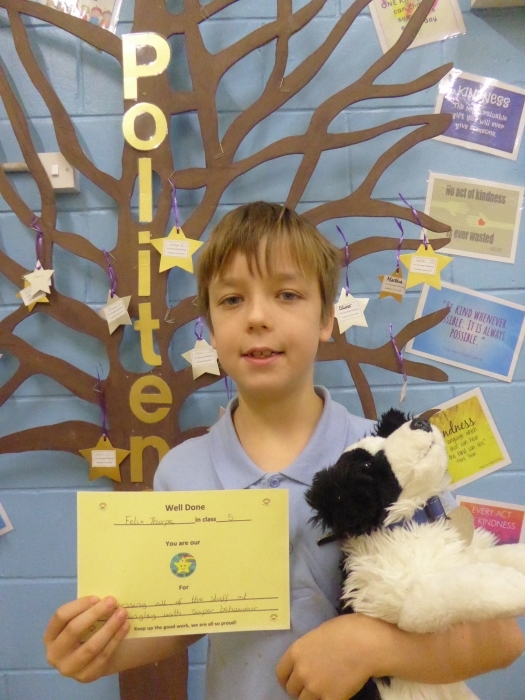 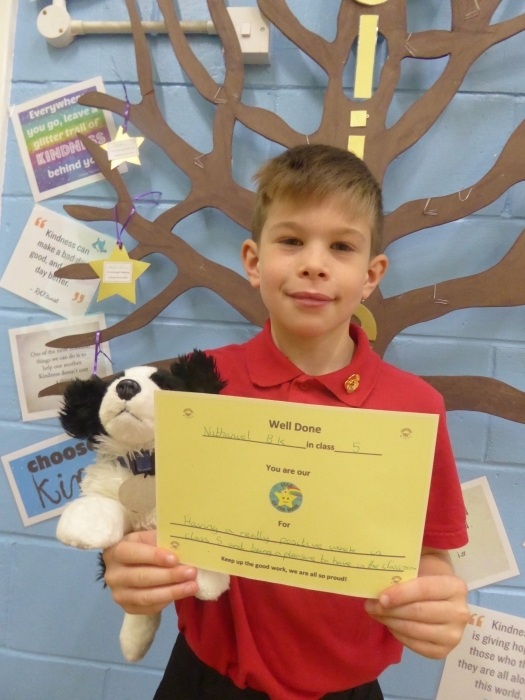 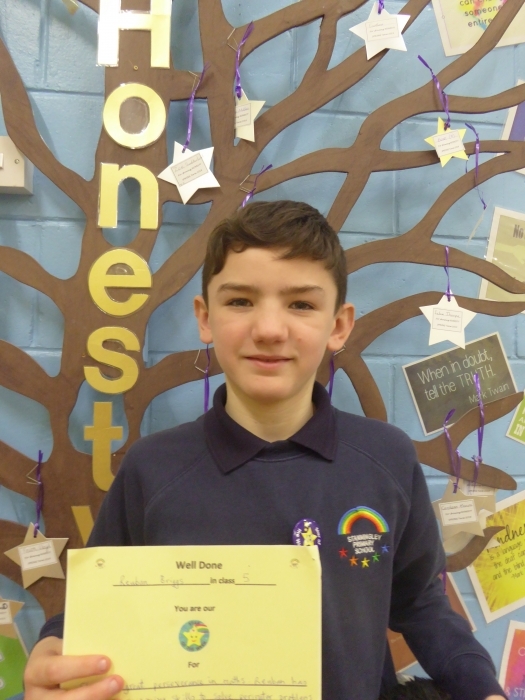 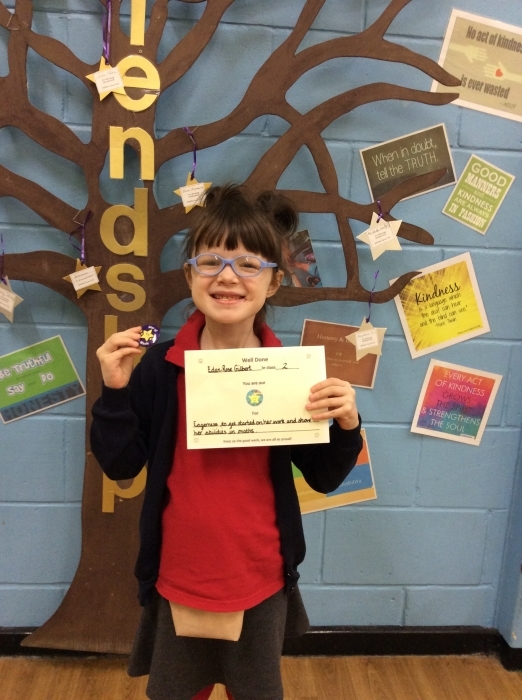 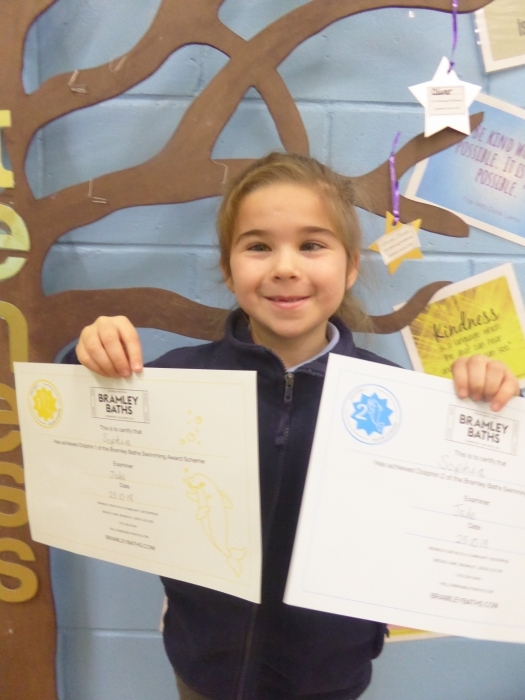 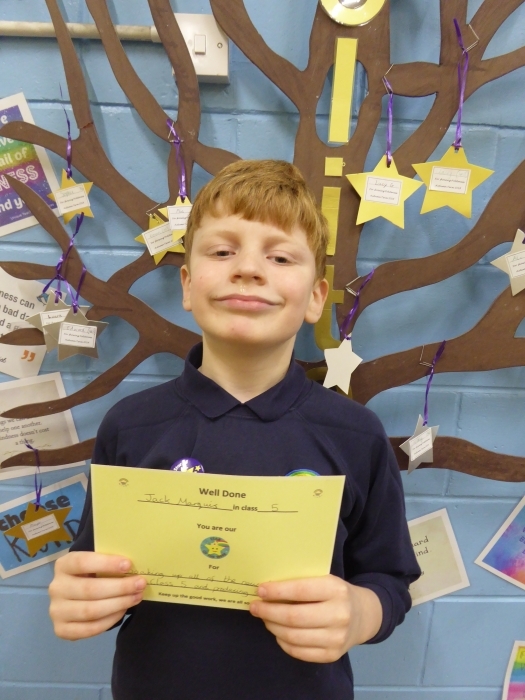 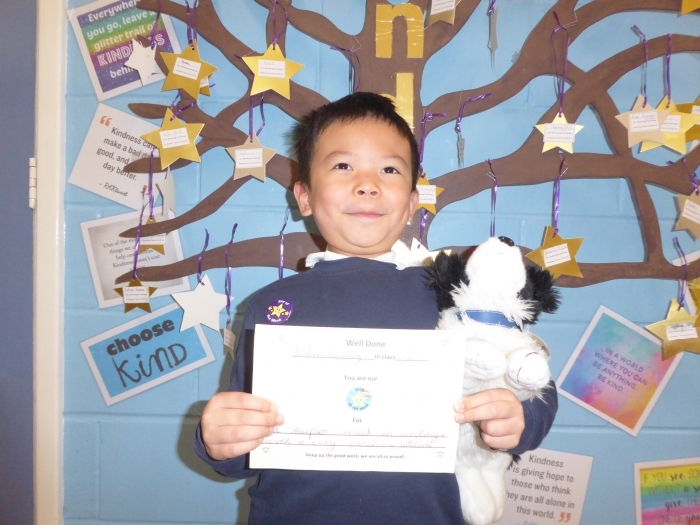 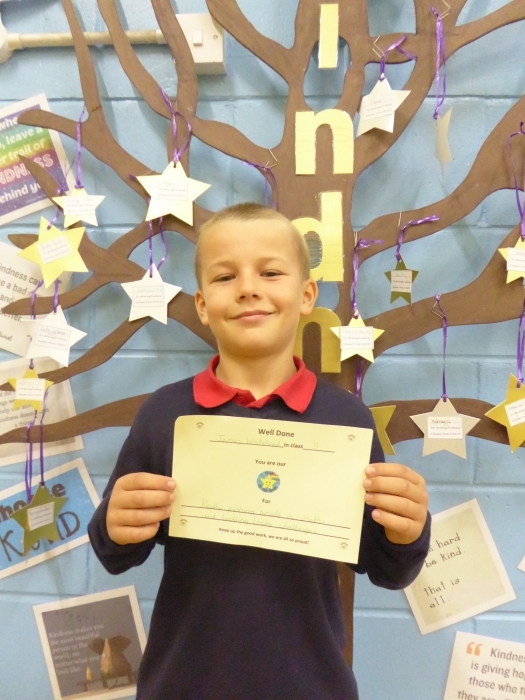 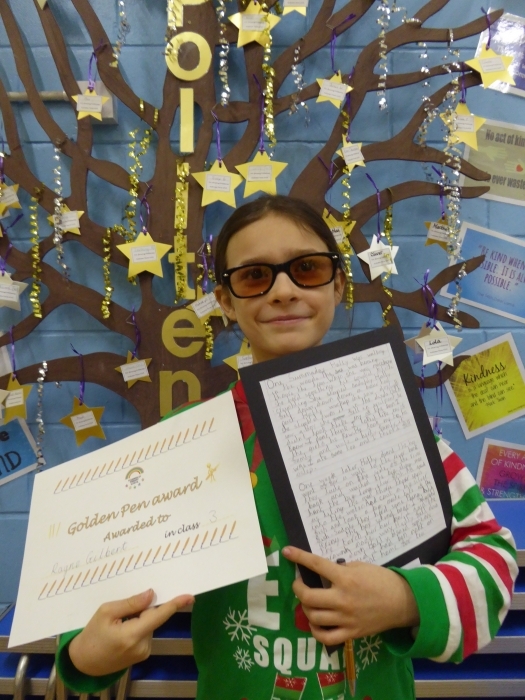 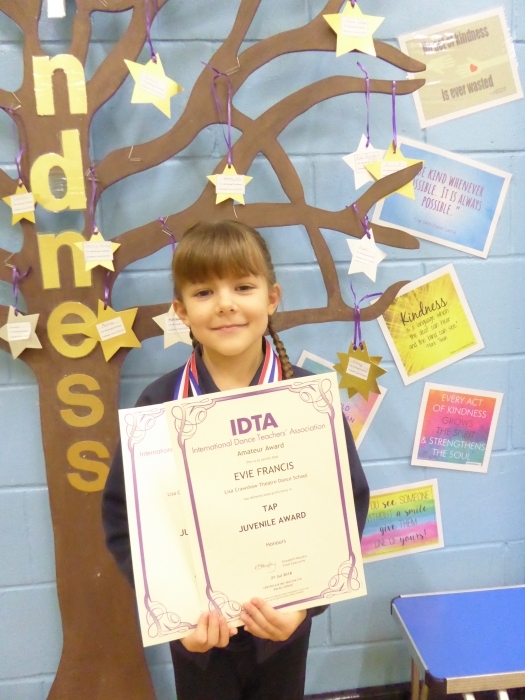 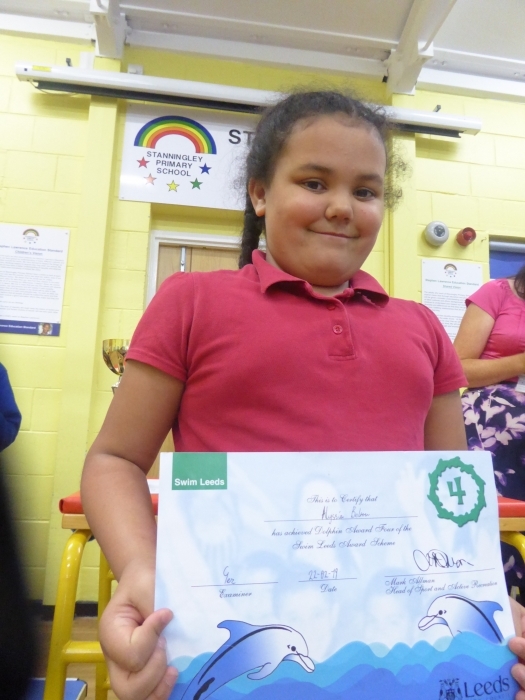 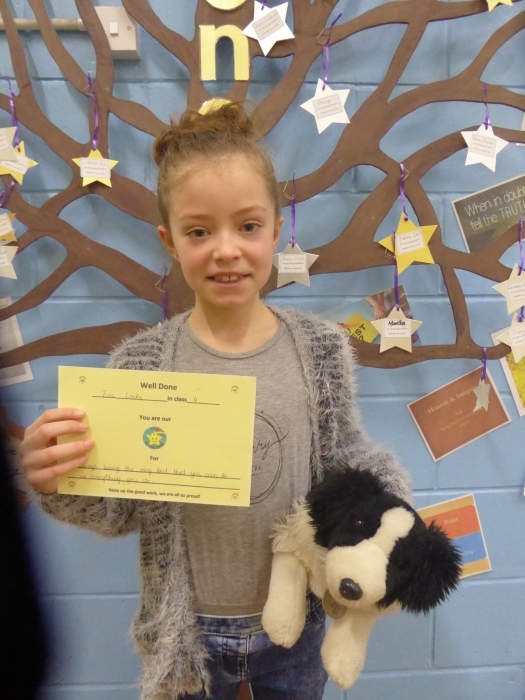 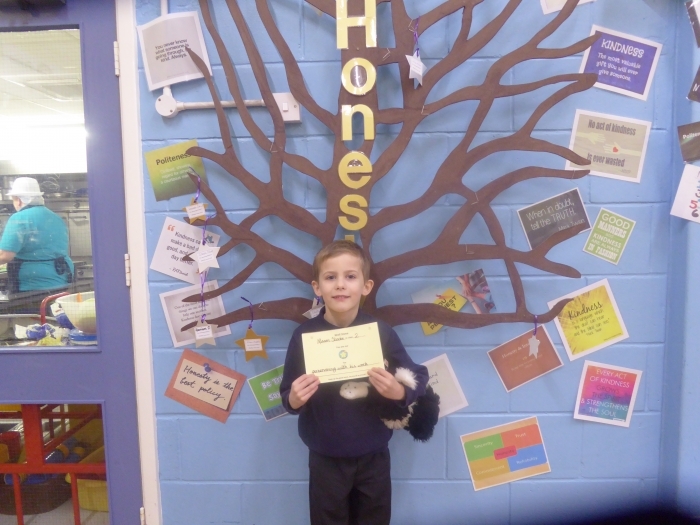 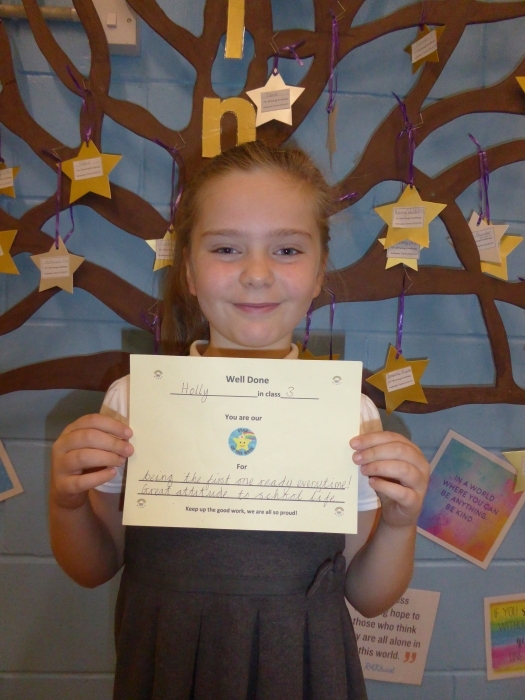 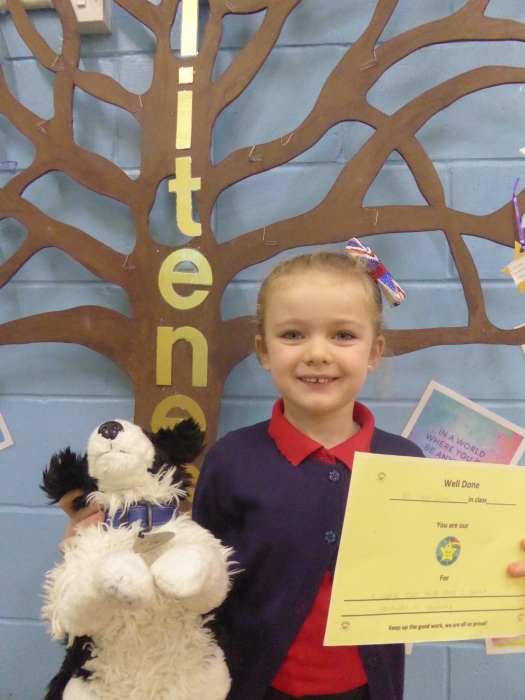 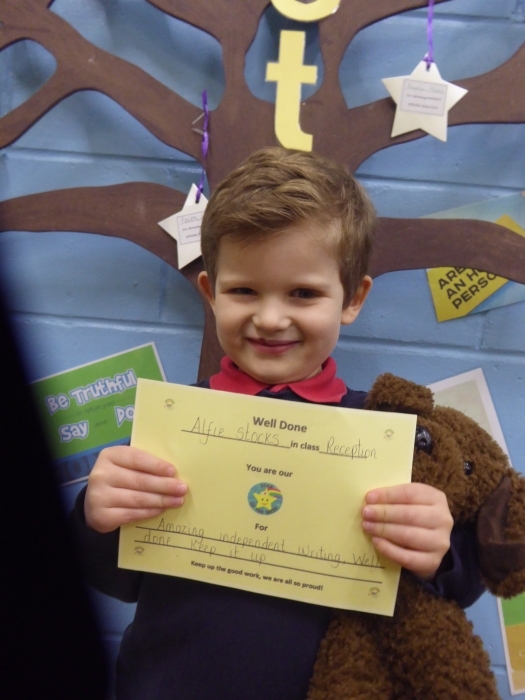 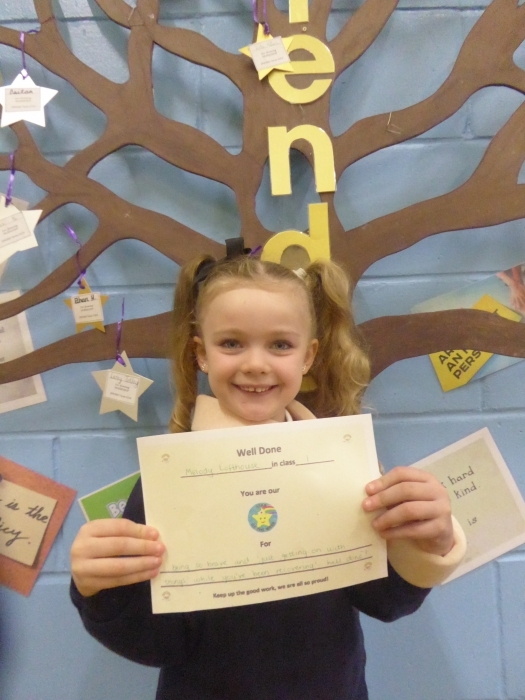 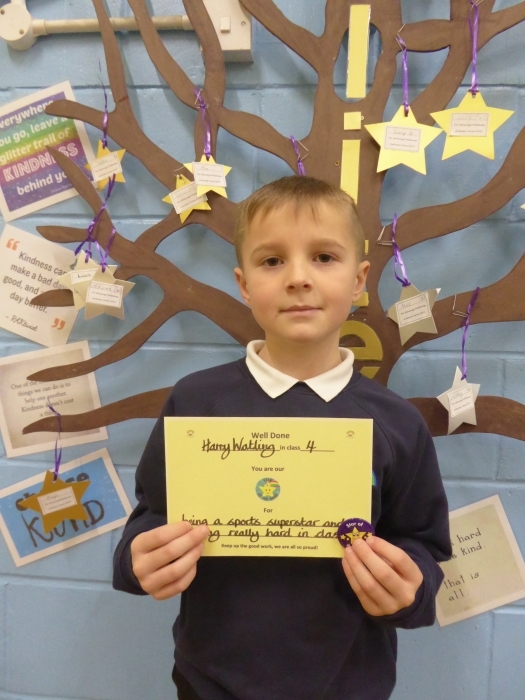 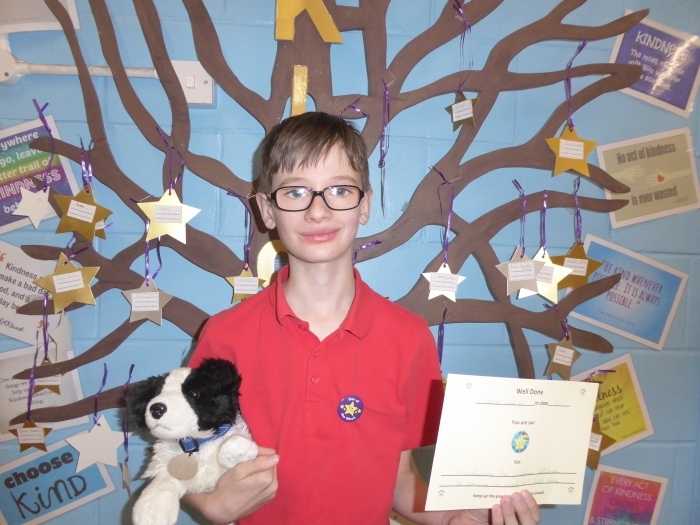 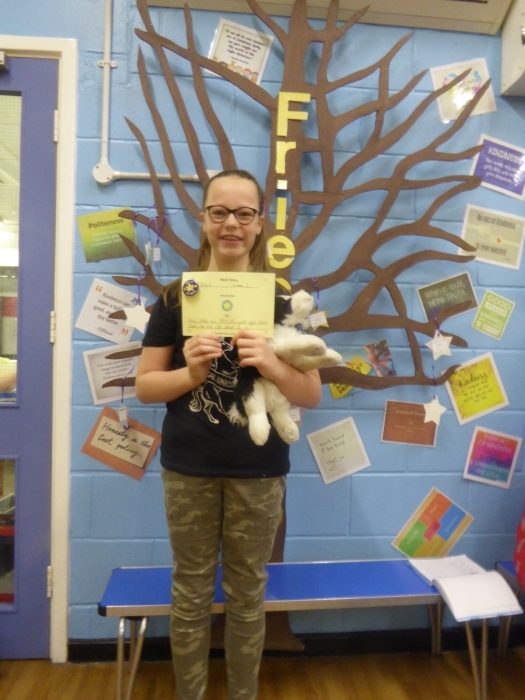 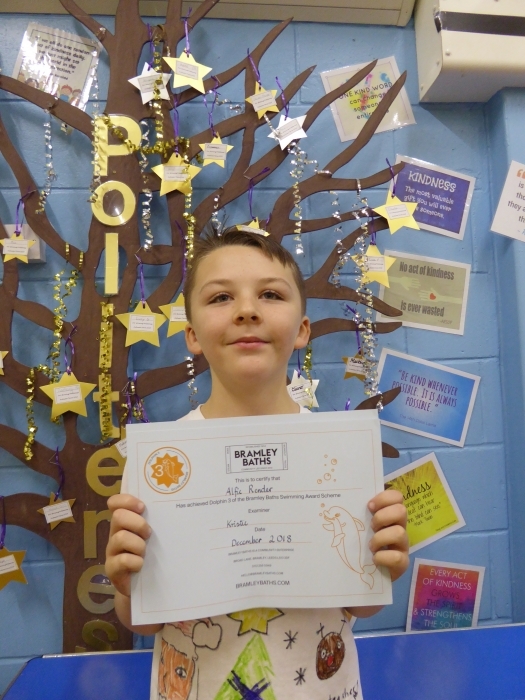 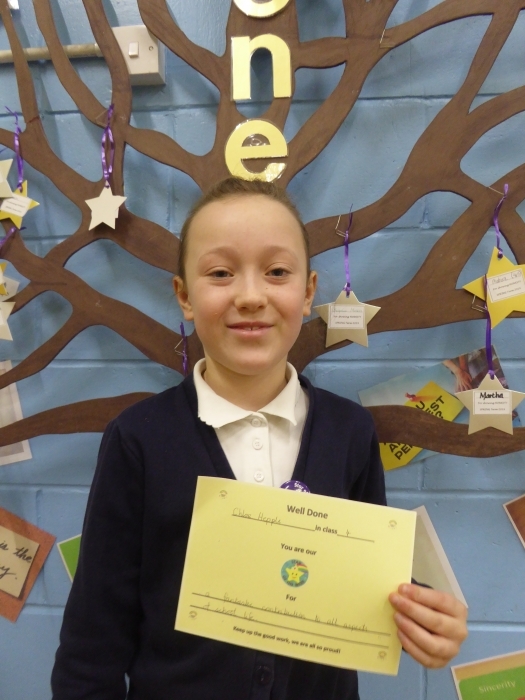 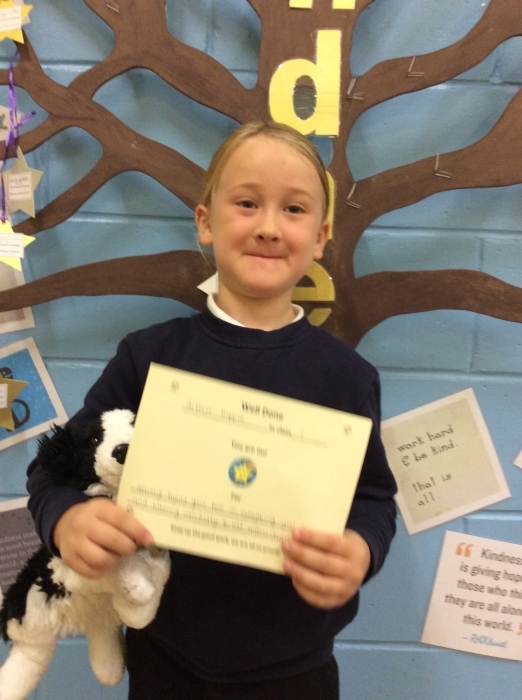 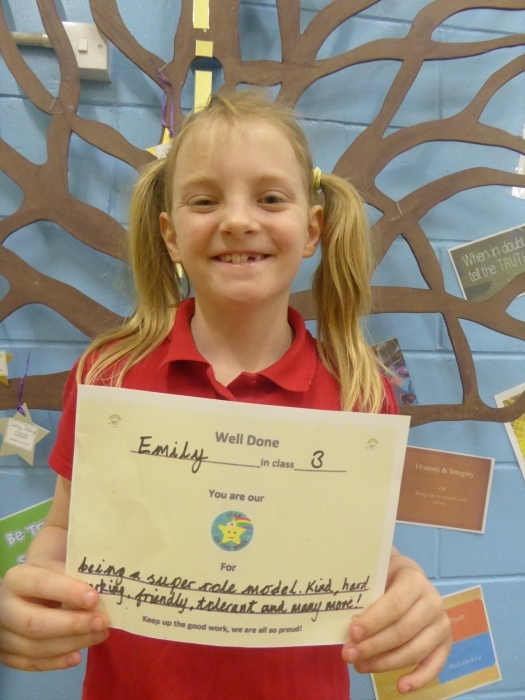 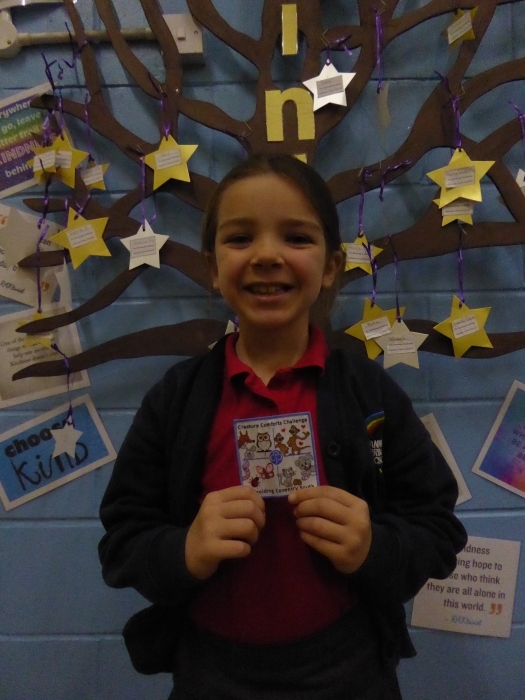 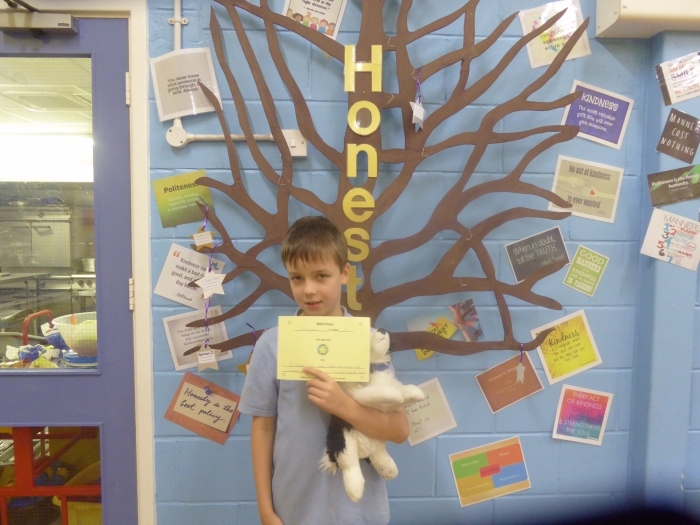 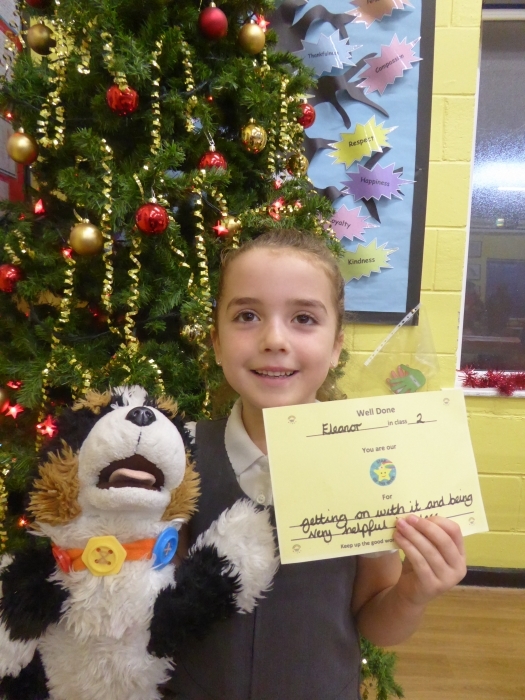 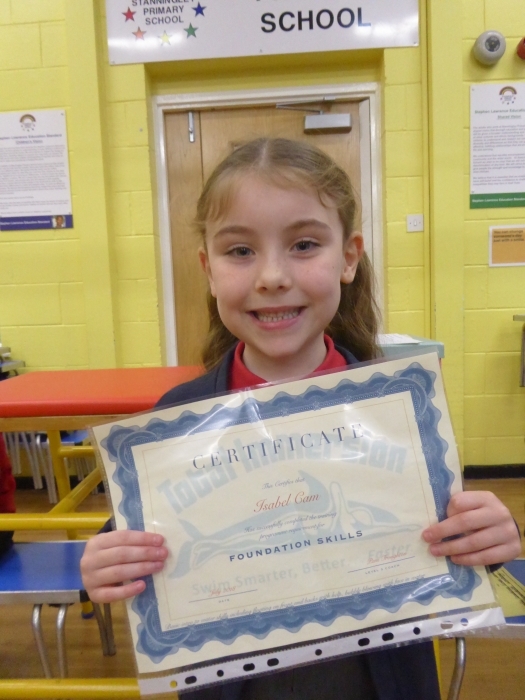 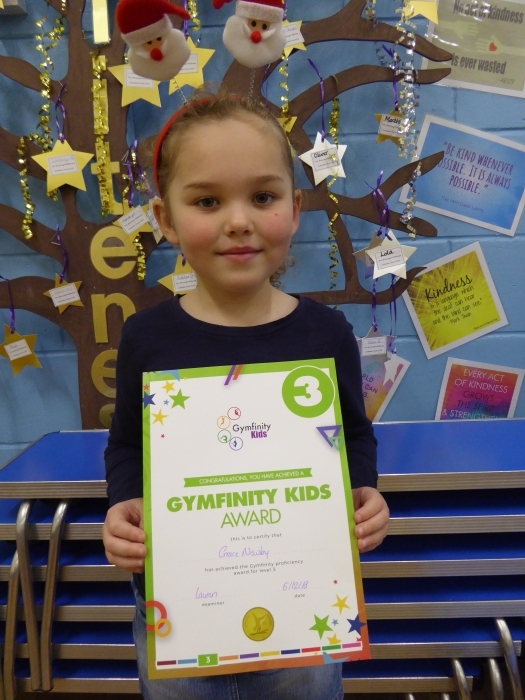 The star children will also recieve a certificate and badge for their hard work all week. 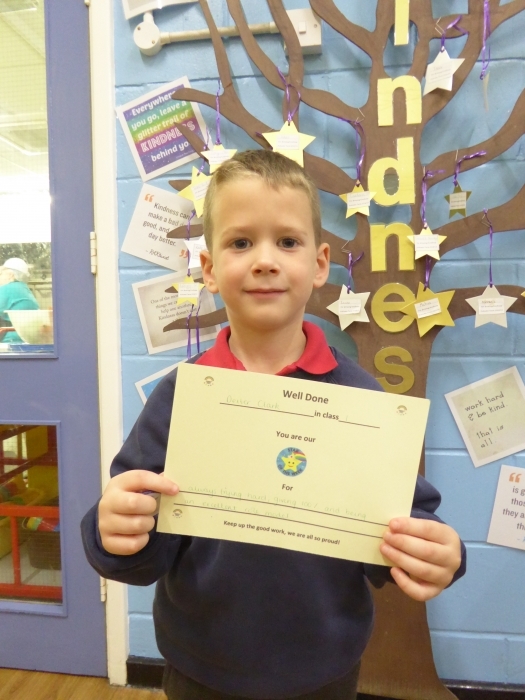 It is a very proud day for all. 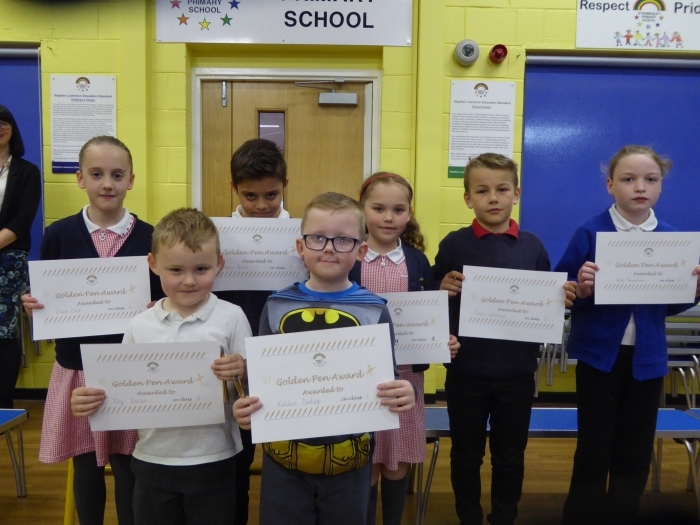 Year 6 The Whole class.